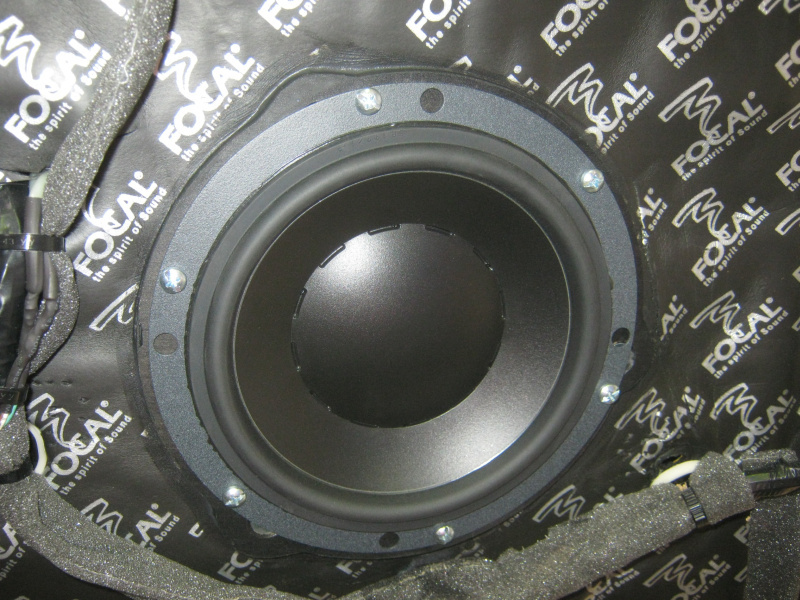 Welcome to the photo galleries of Fhrx Studios. 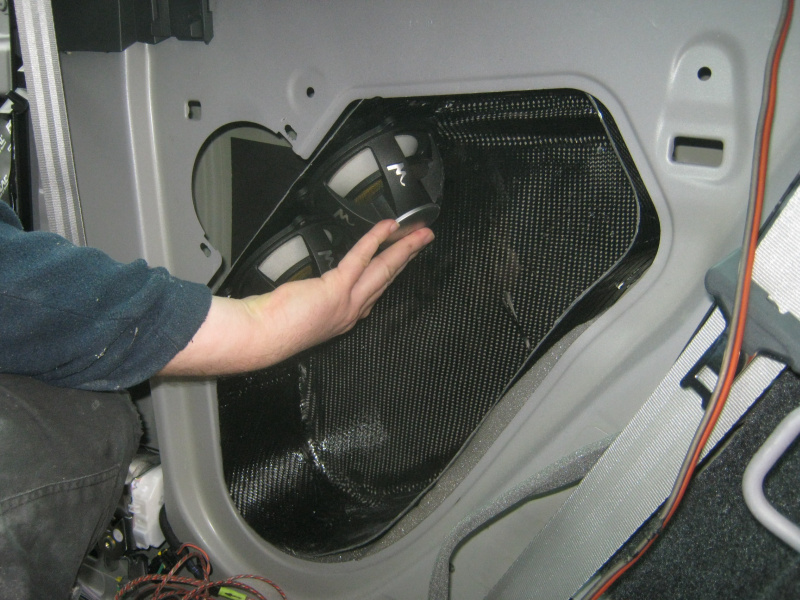 For nearly twenty five years now we've been photographically documenting every aspect of our work, from commencement to completion. 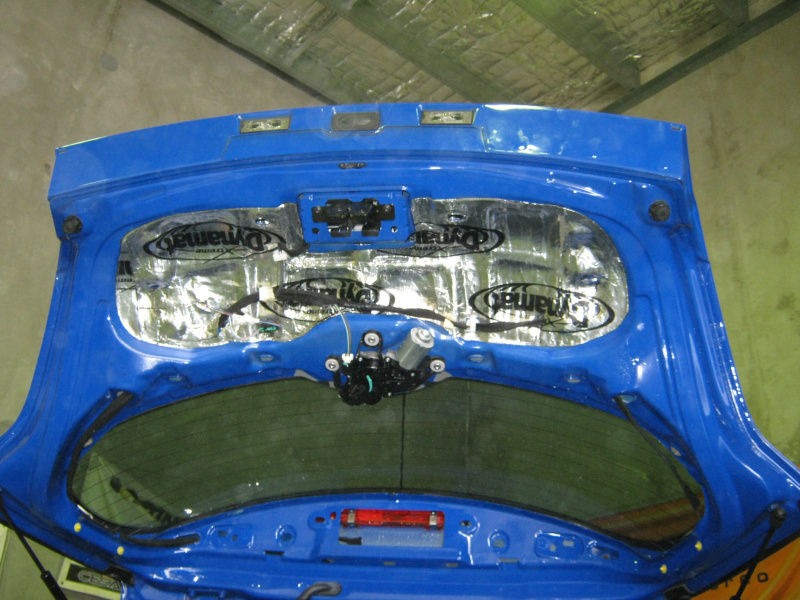 Within these pages you'll find many photos of our demonstration cars and many photos of our work - both behind the scenes and the final product. 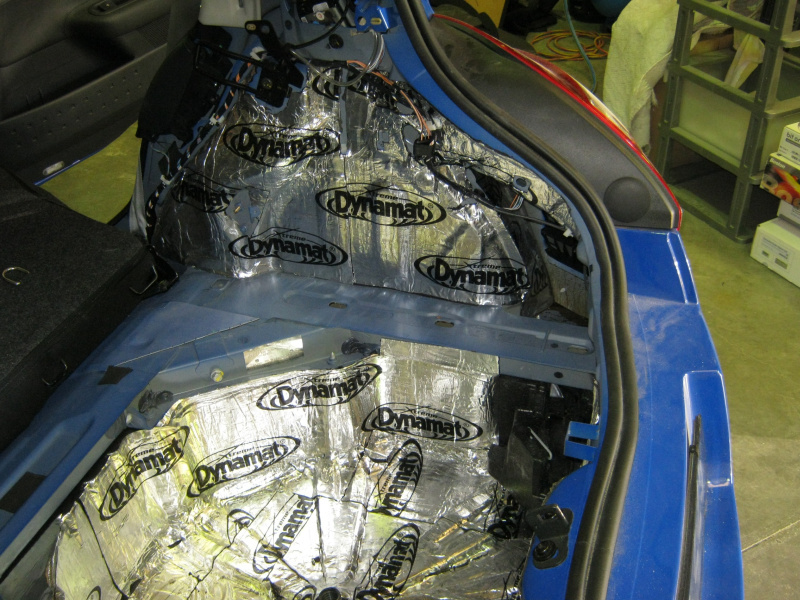 There are also photos of cars from years gone by, photos of some of the shocking installation work we've diagnosed and repaired and last but not least; you'll find photos aplenty of Lamborghinis as Lamborghini Sydney is one of the many dealers whom we undertake various work for - everything from simple parking sensors to entire system builds. 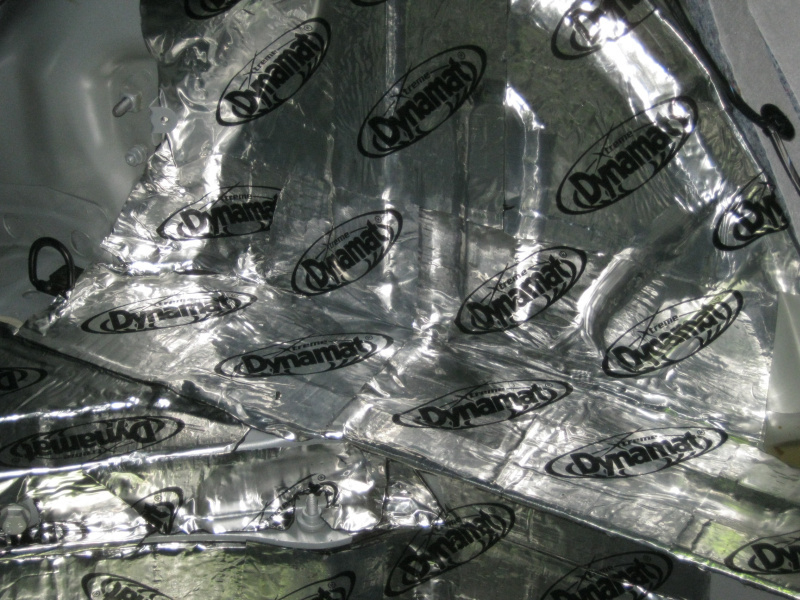 There are many images within these galleries so please be patient while they load. 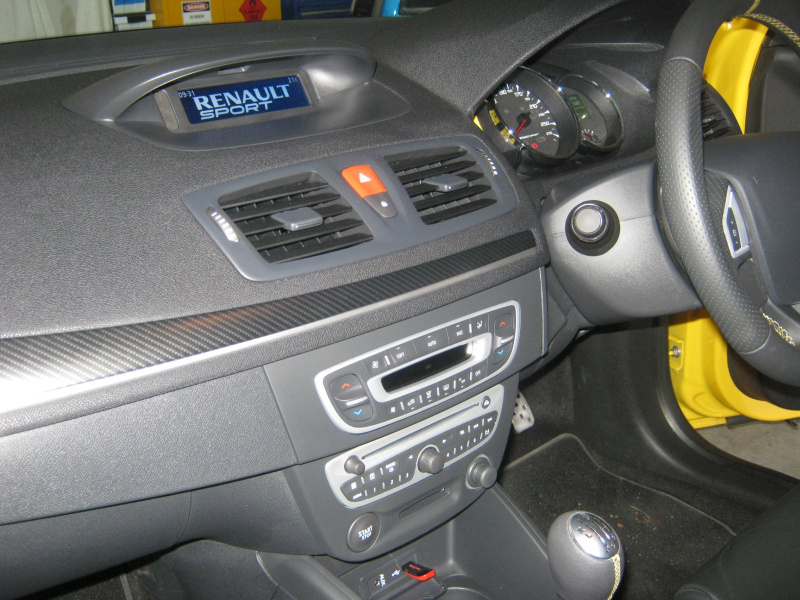 To hasten loading times we've thumbnailed each photo. 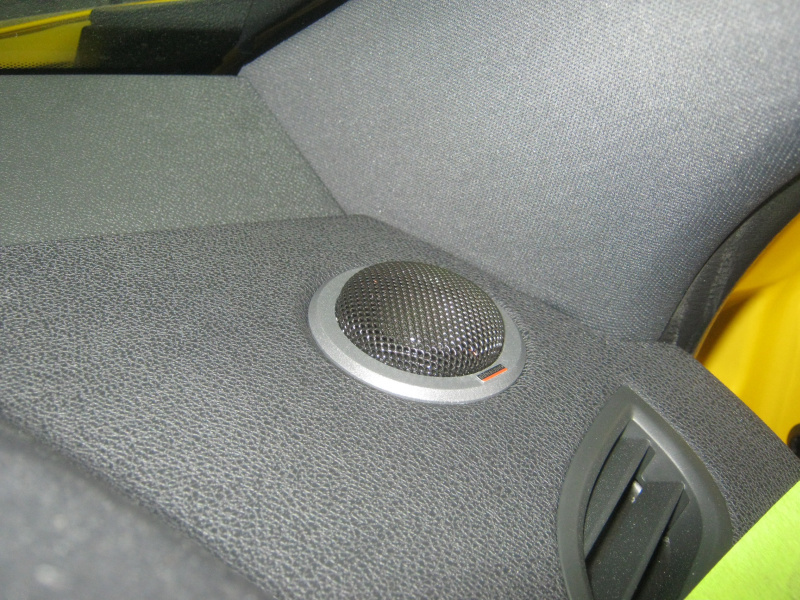 When viewing the images from yesteryear and taking a trip down memory lane, please accept our apologies for the size and quality of some of them - there were no digital cameras back then. 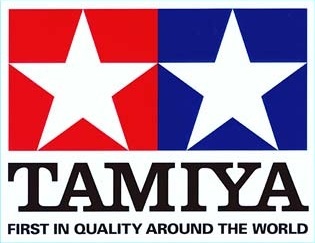 Many of these historical images have been scanned, some even from negative film. 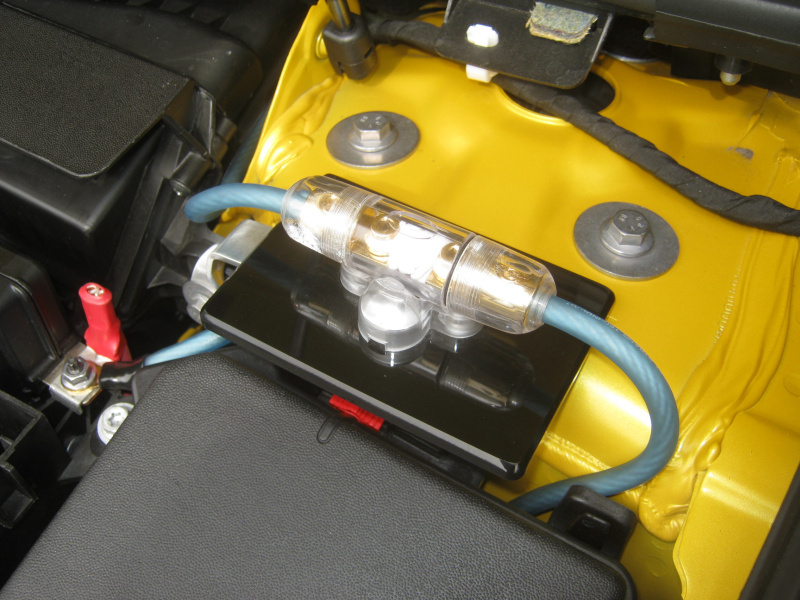 When it comes to Fuse holders, we always manufacture a bracket to hold them as opposed to simply drilling a few self-tappers into the shock tower or firewall like we often see others do. 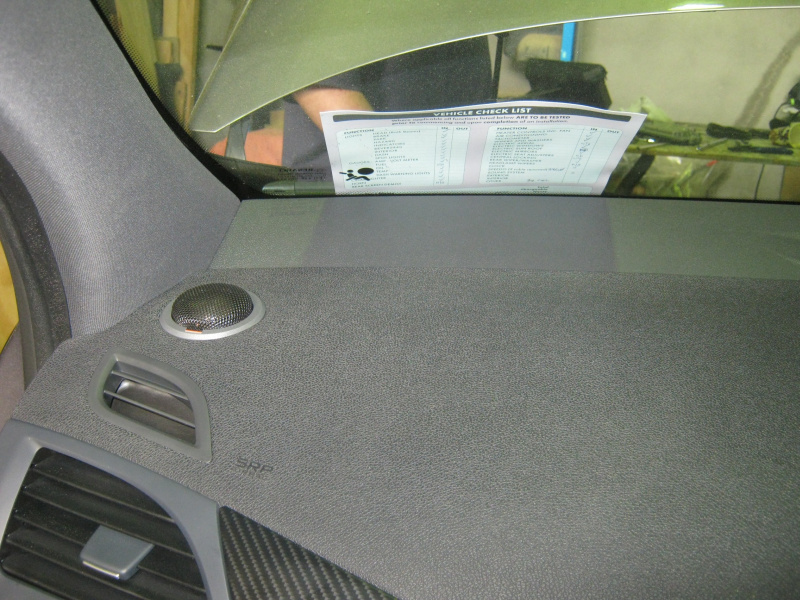 Not only do plates look much better, they're also far safer, offer easier access and avoid any damage to the customer's car which is irreversible if they chose to remove the system. 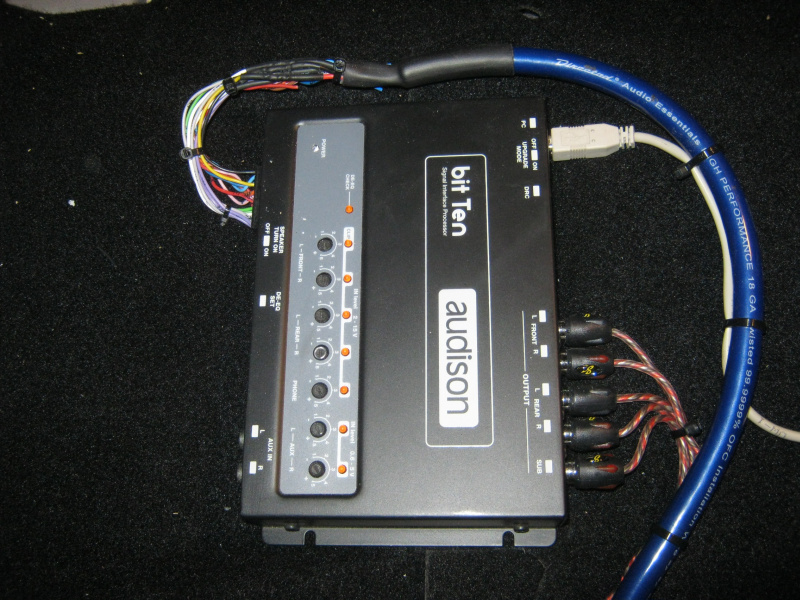 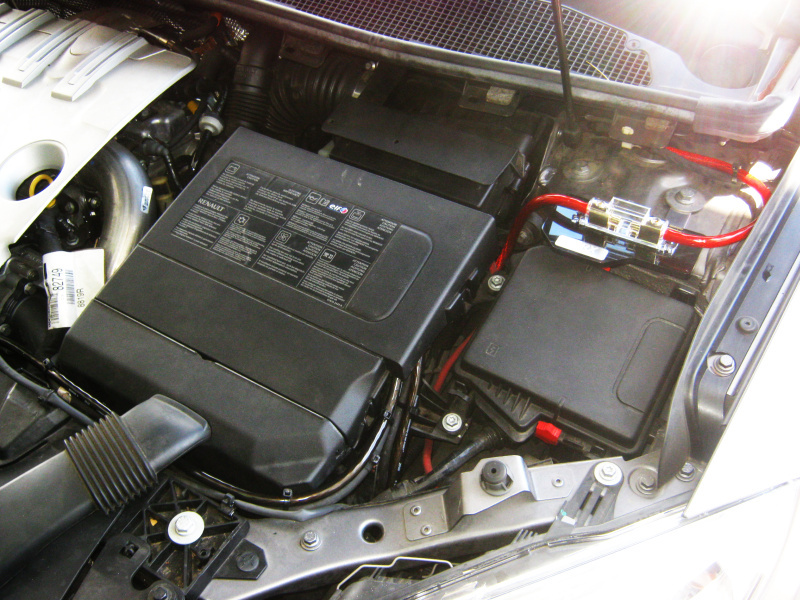 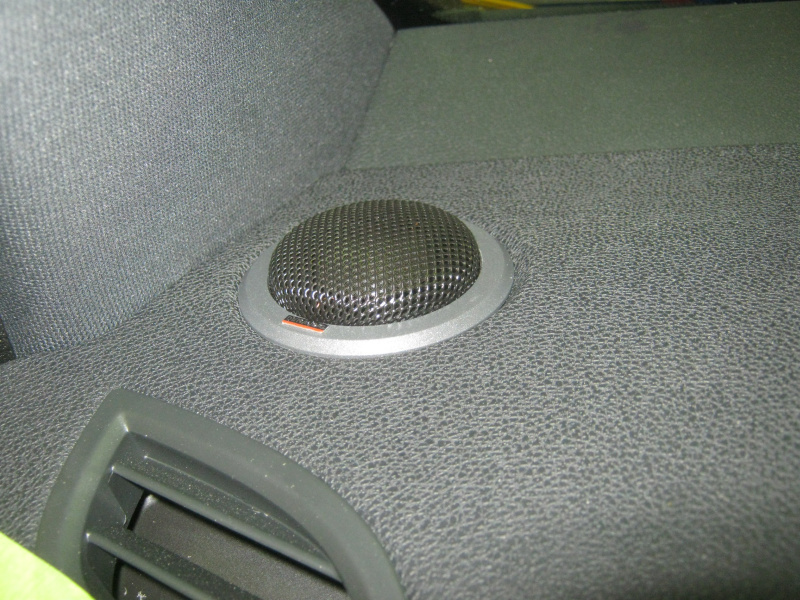 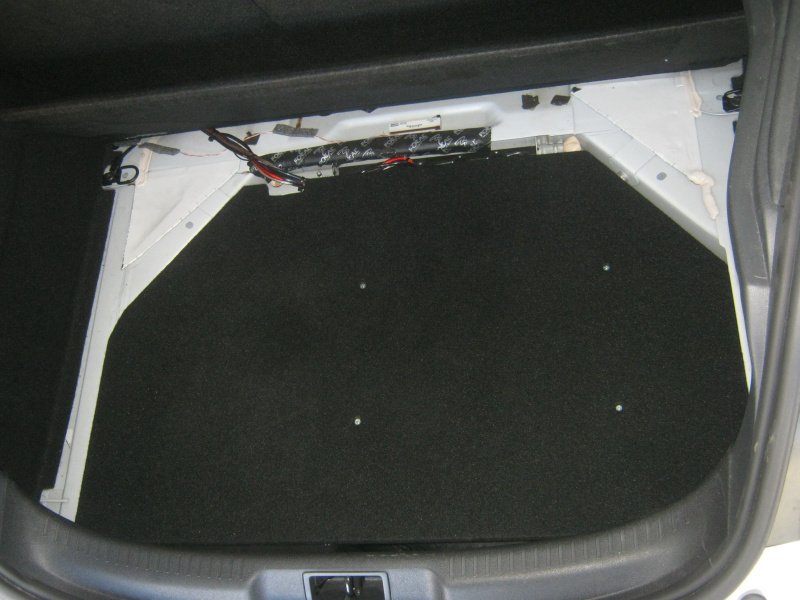 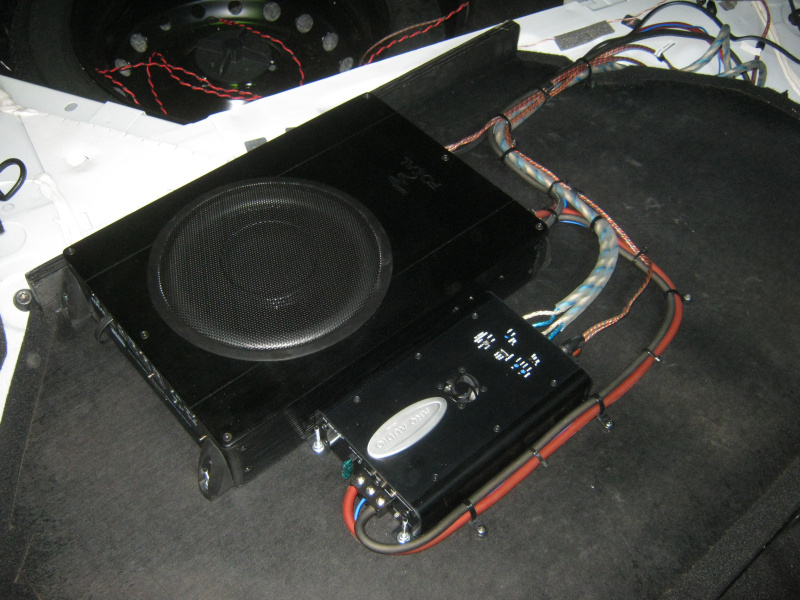 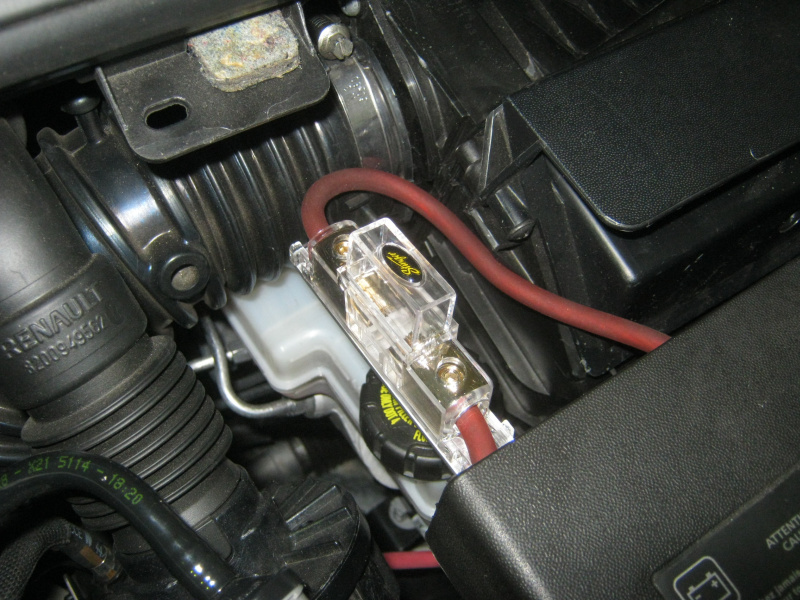 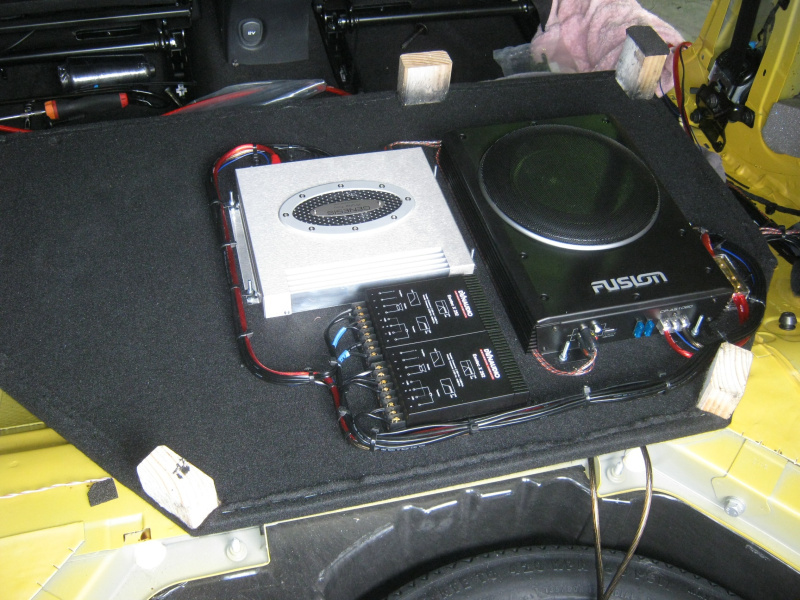 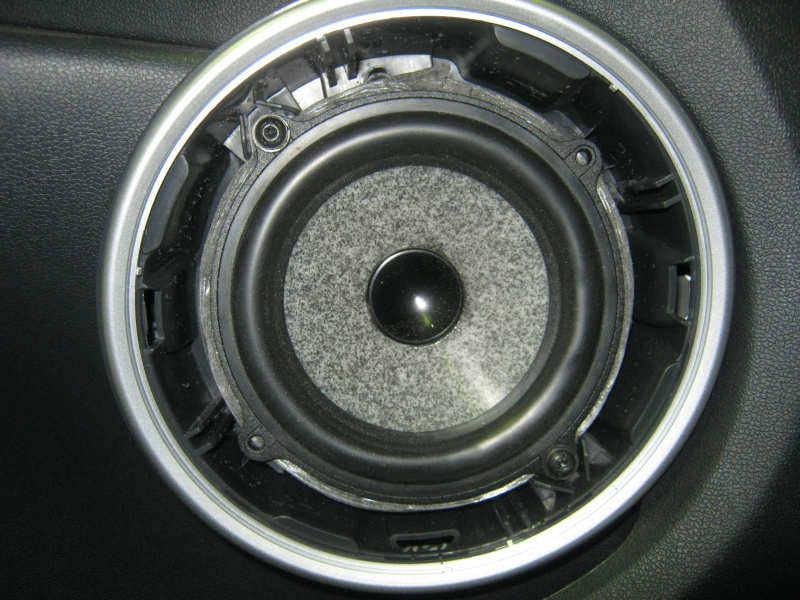 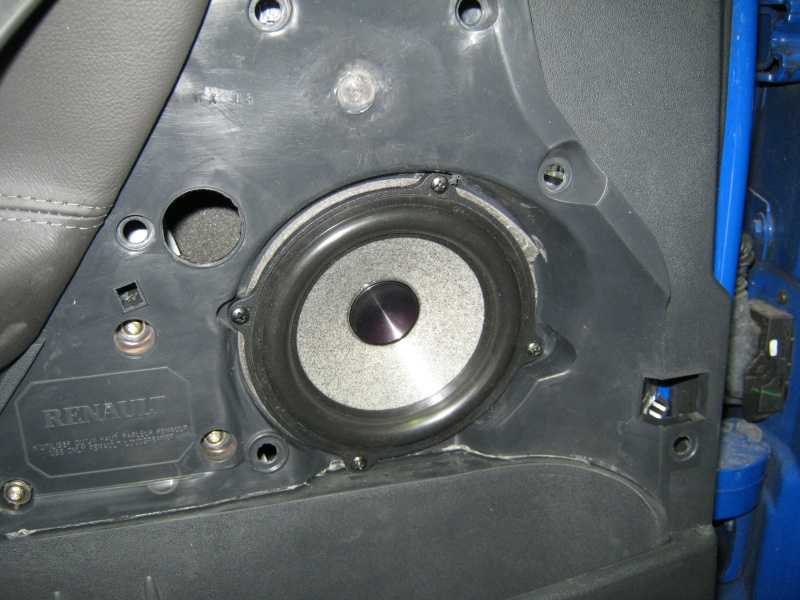 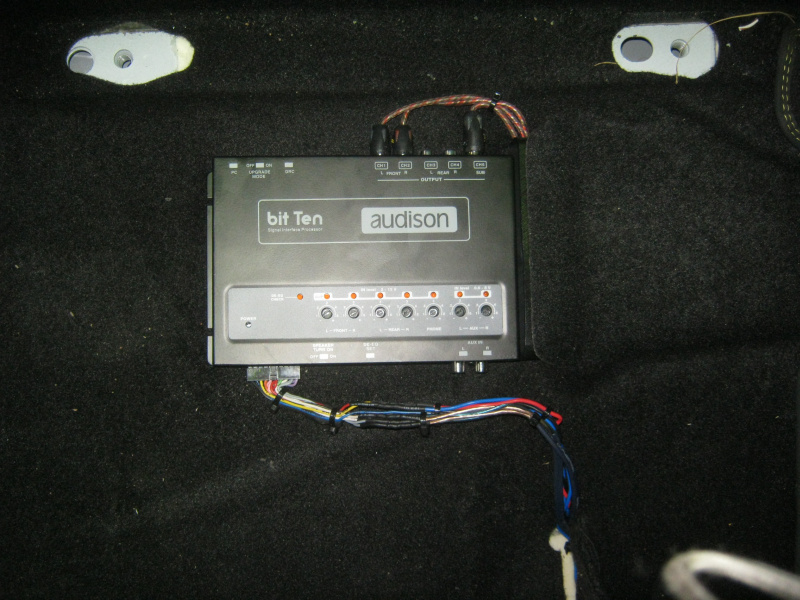 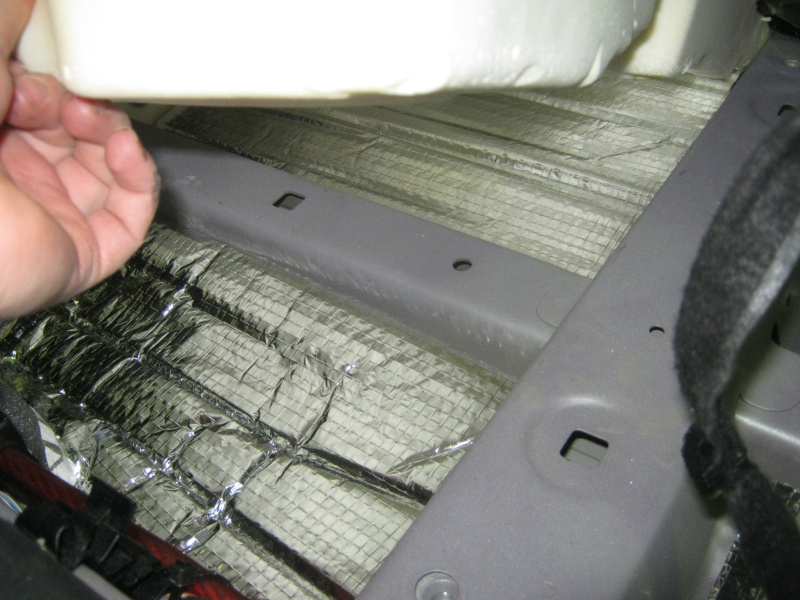 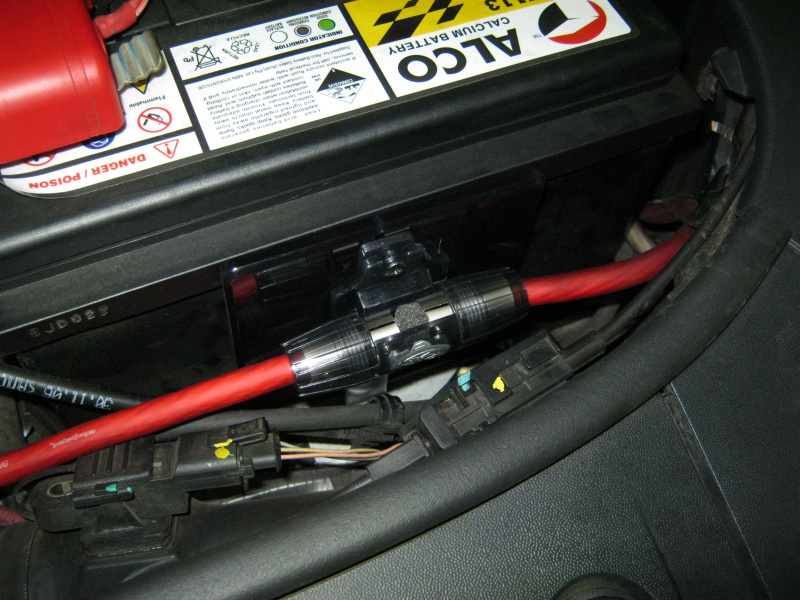 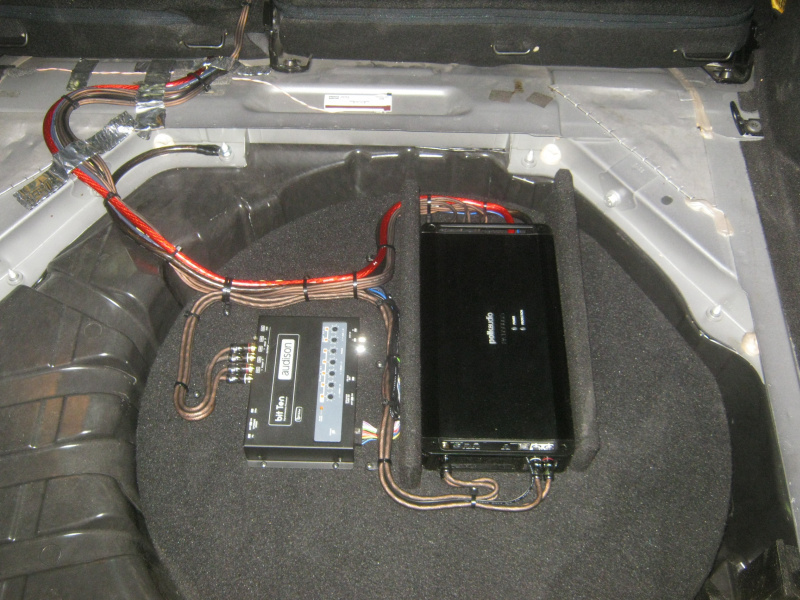 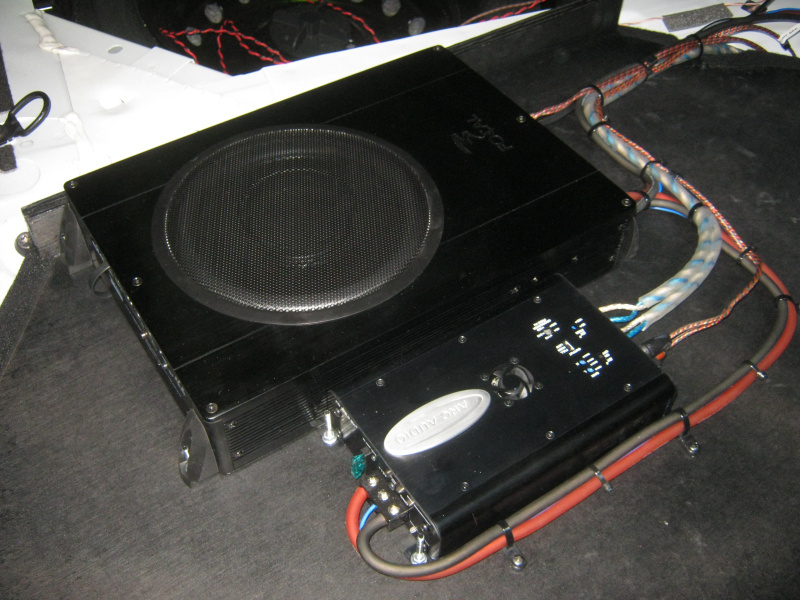 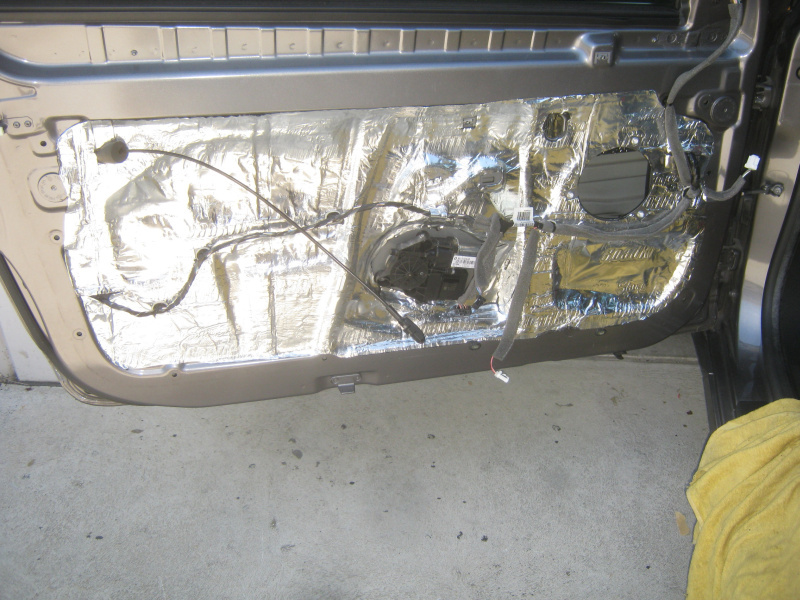 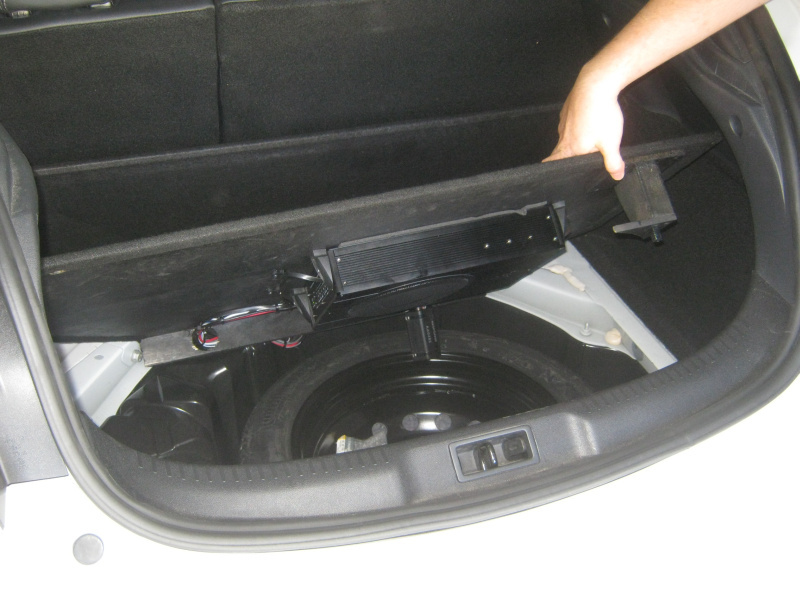 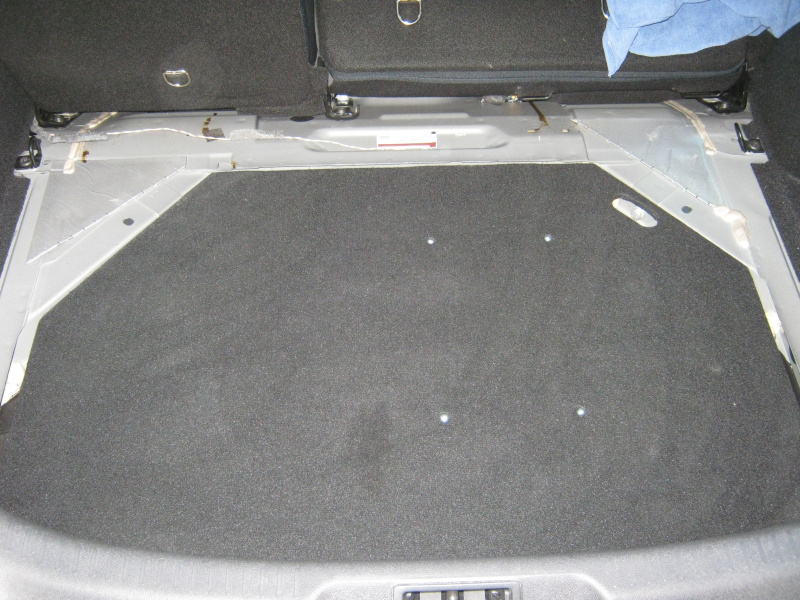 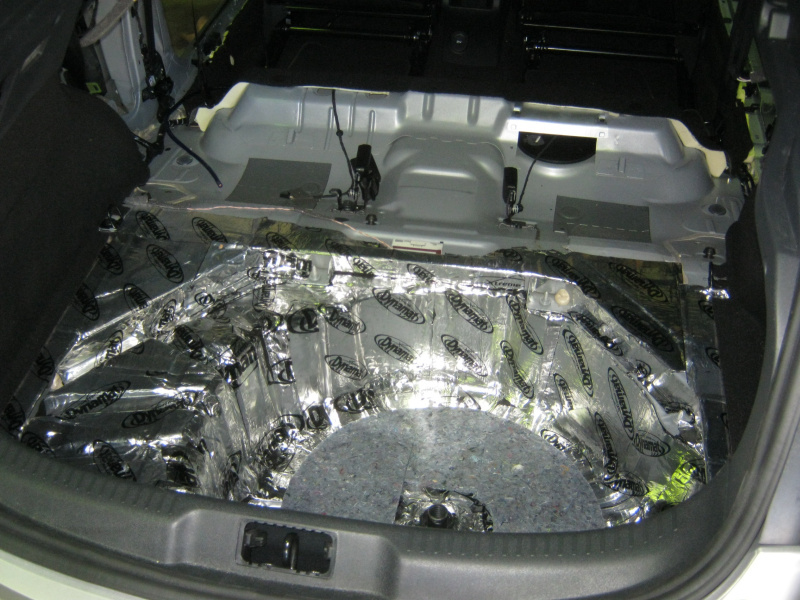 When mounting amplifiers, processors and other hardware, you should never just throw a few self-tappers into the floor of the cars as not only will you be damaging the customer's car, you'll also be exposing the floor to possible water damage such as rust and mold. 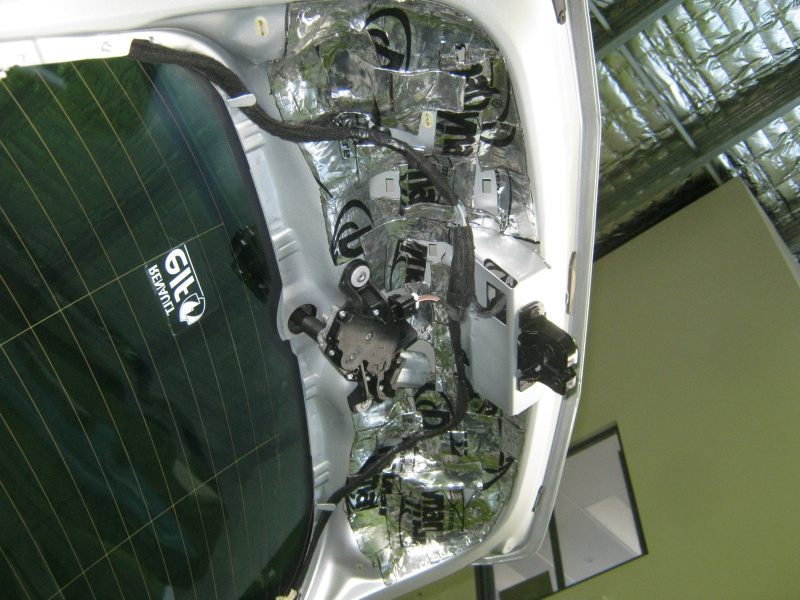 Therefore we tend to manufacture racks and other mounting systems. 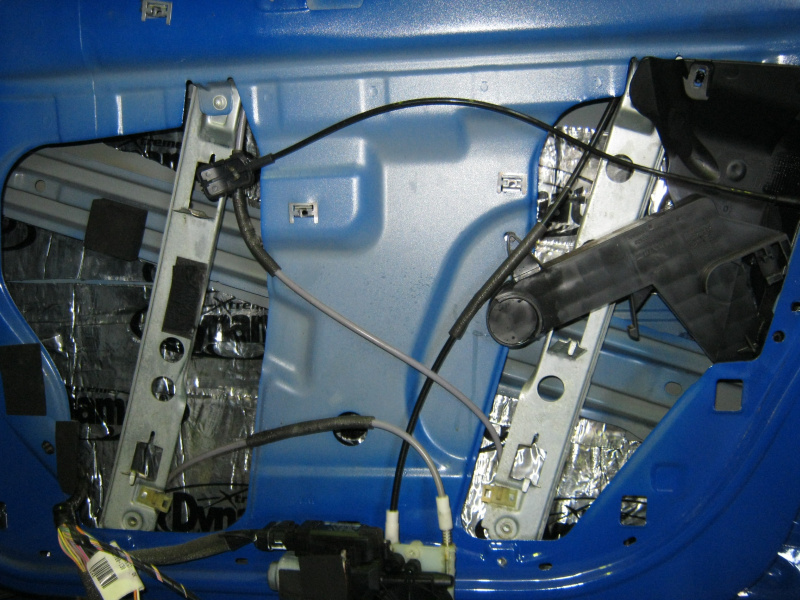 Once these components are secured cables must be neatly run to them and secured, they should never just be left in a pile next to the hardware. 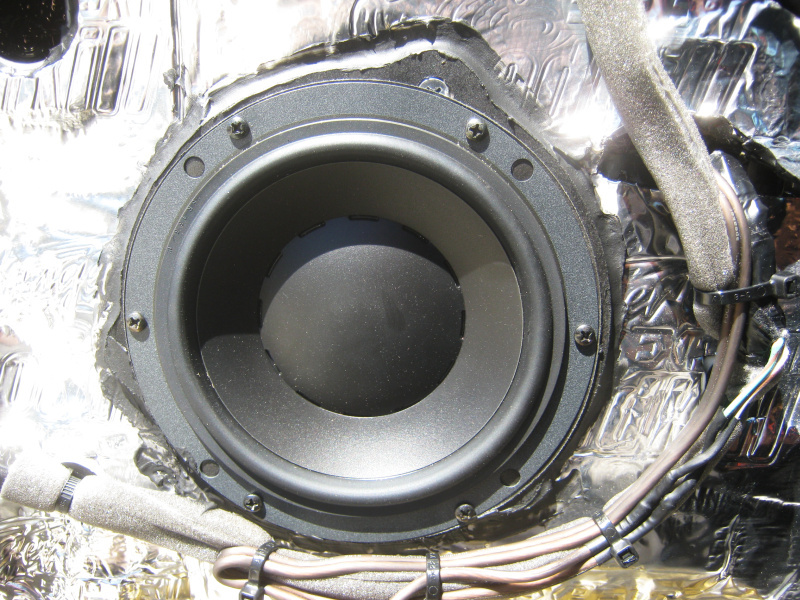 Ever heard of a radio studio, television studio or recording studio without deadening? 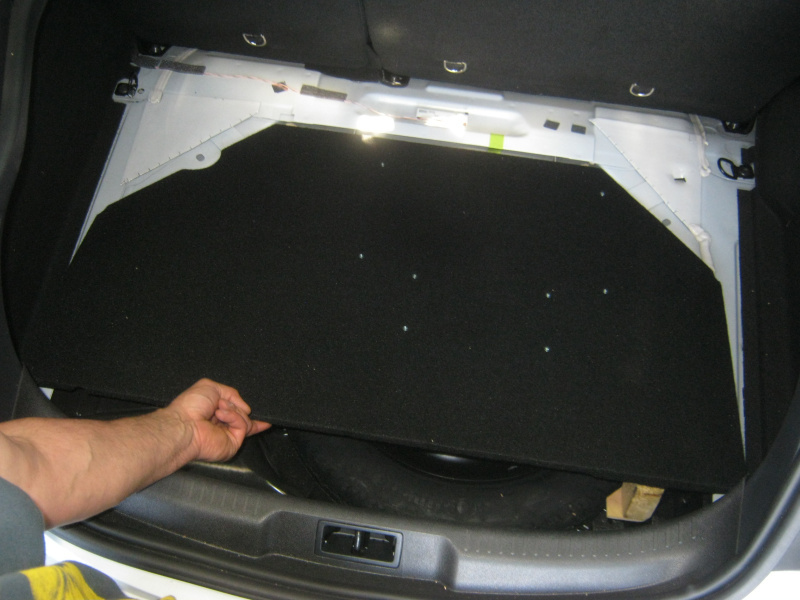 Maybe you've seen a movie cinema with carpet on the walls? 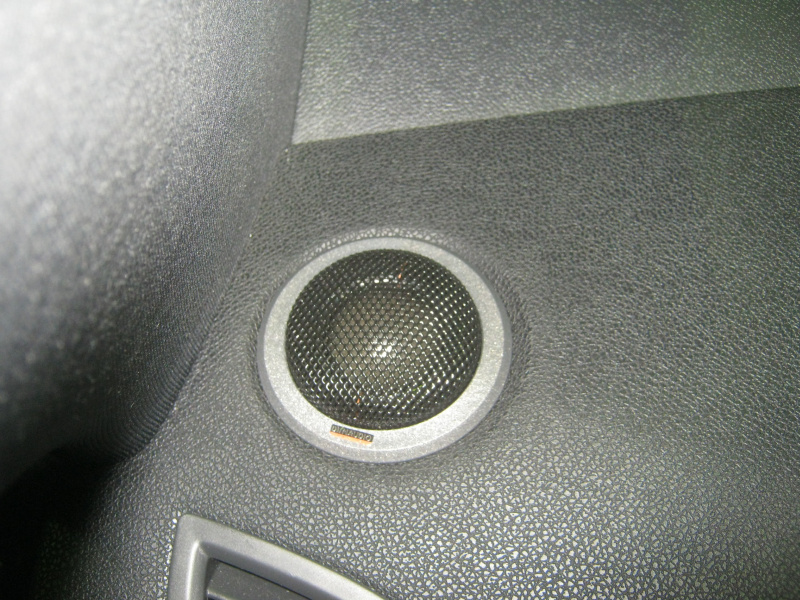 Starting to notice a pattern? 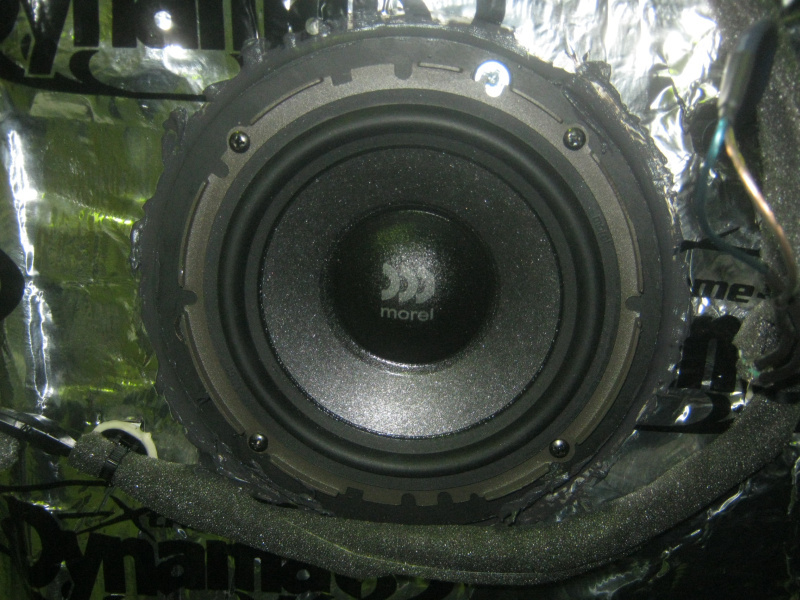 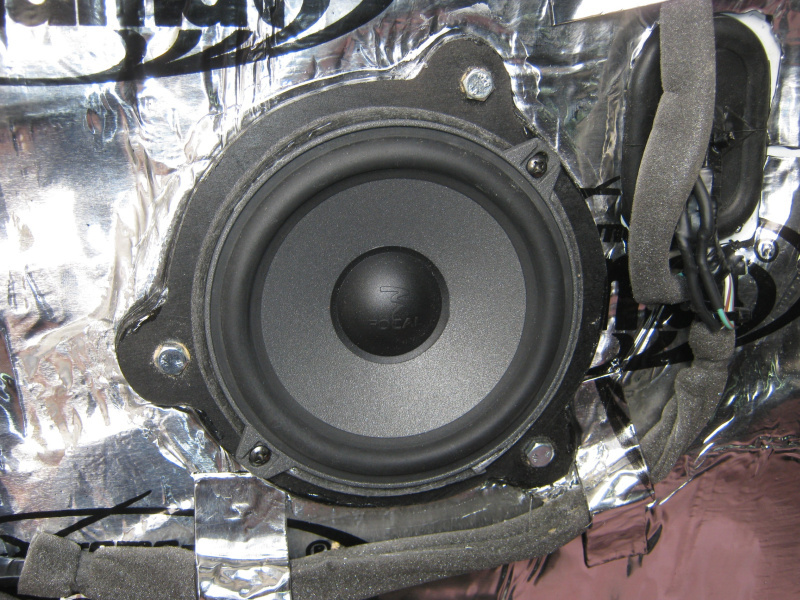 Even on cheapest of speakers including the factory ones will benefit immensely from sound deadening on the inner and outer surface of panels, giving you much stronger midbass and midrange without resonation. 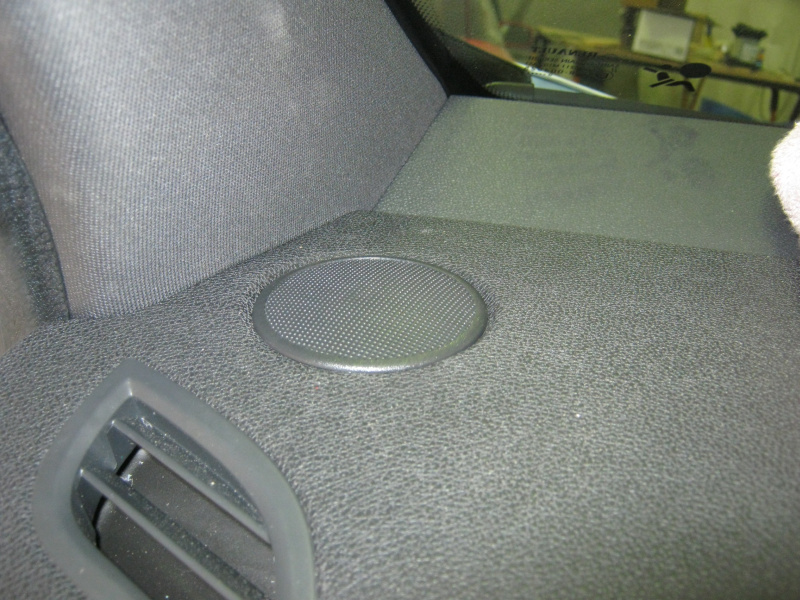 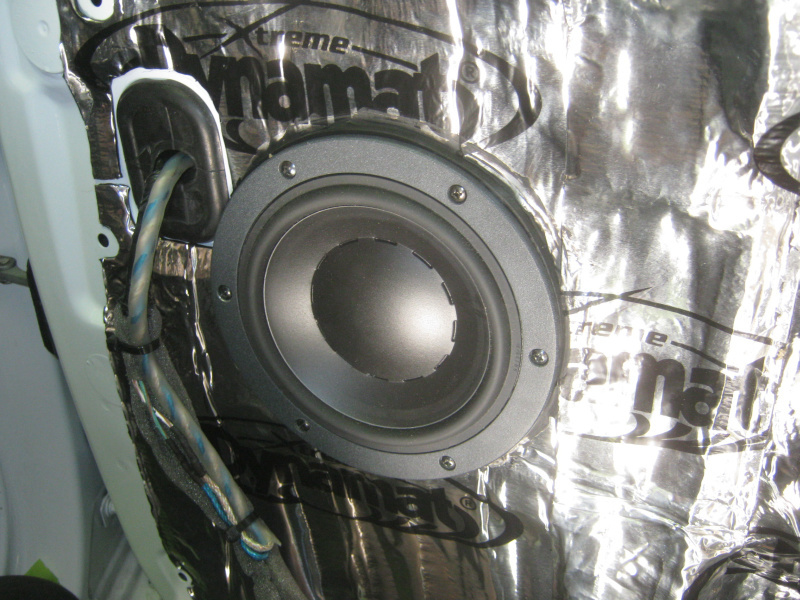 Following this we install a sound diffusion matt; this is placed directly under the speakers to prevent wave reflection. 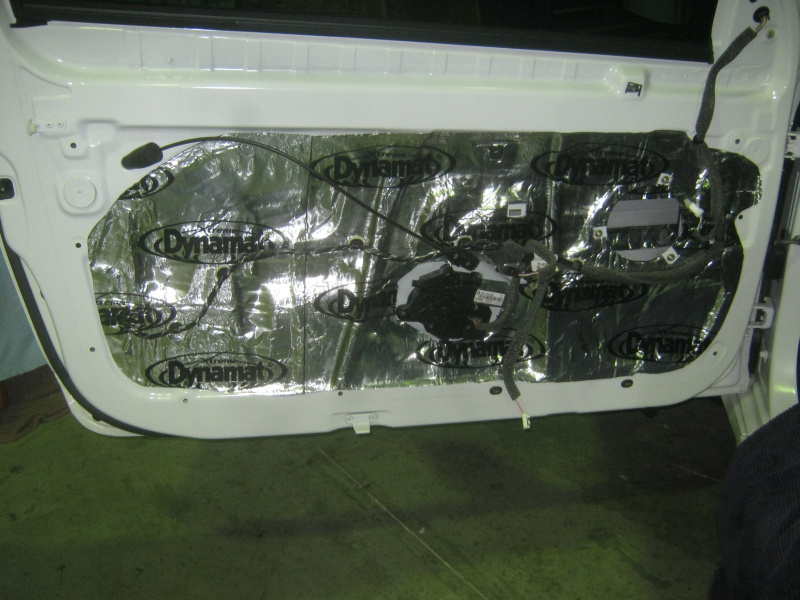 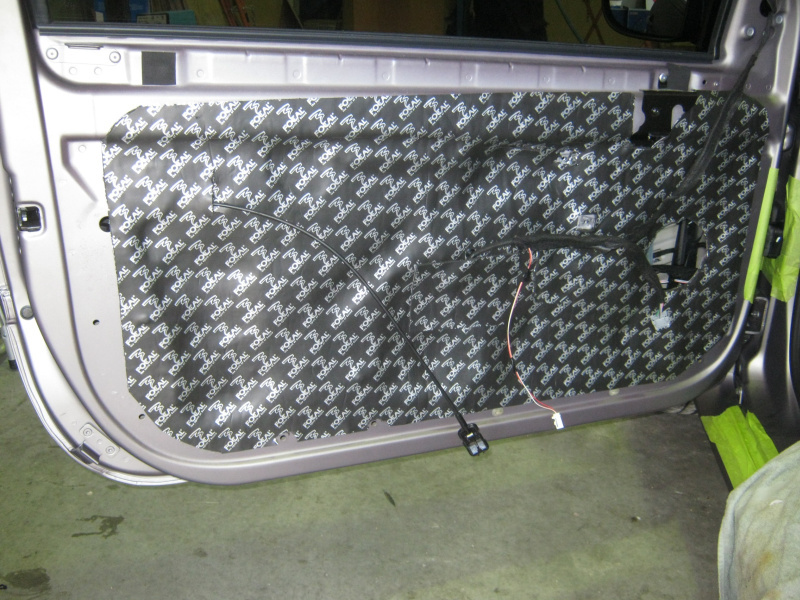 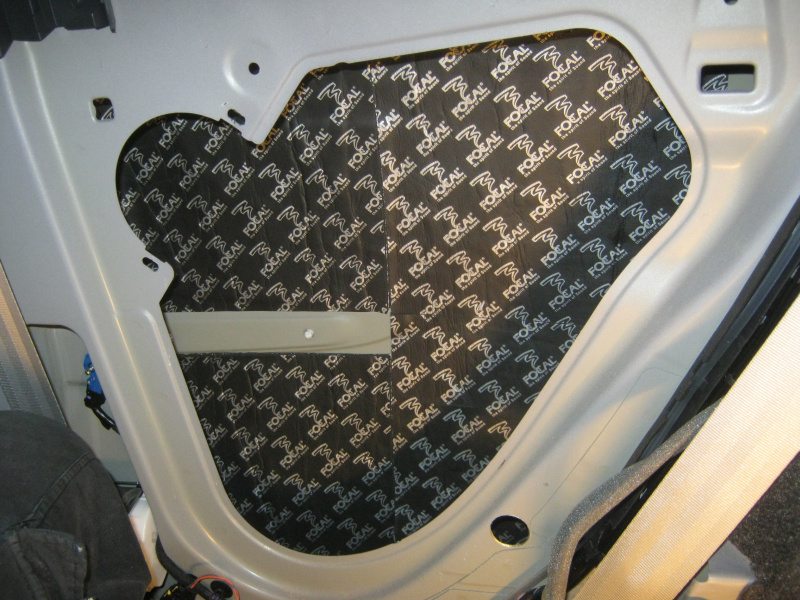 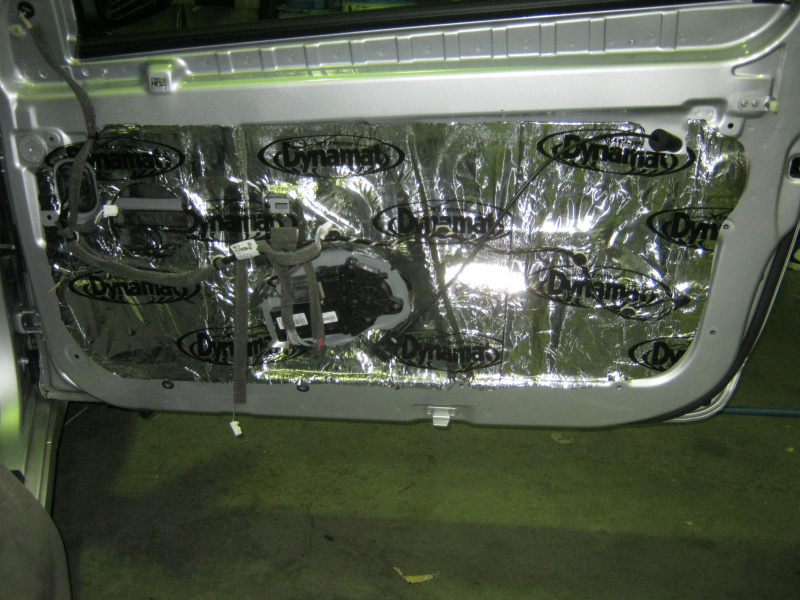 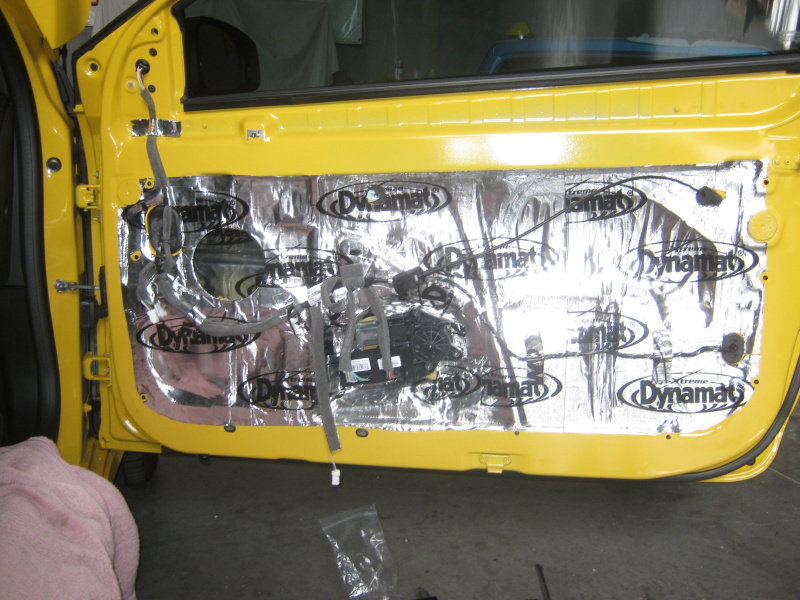 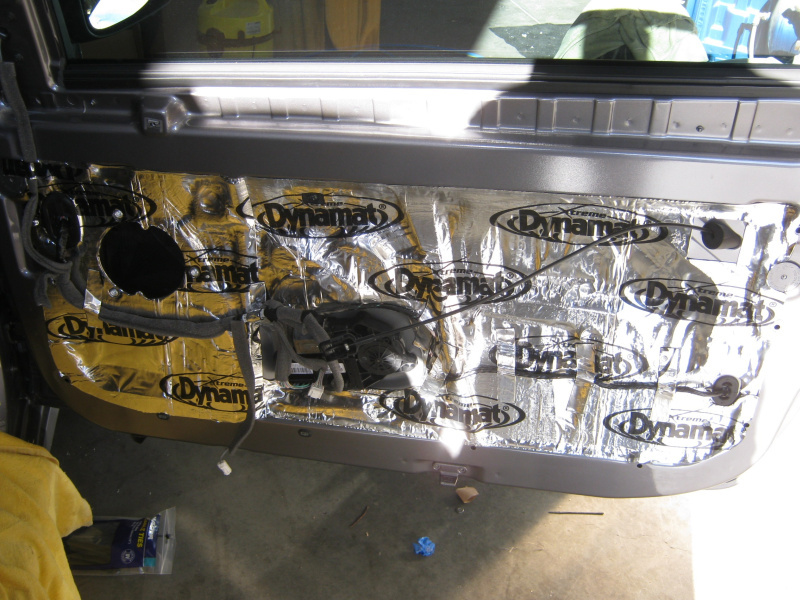 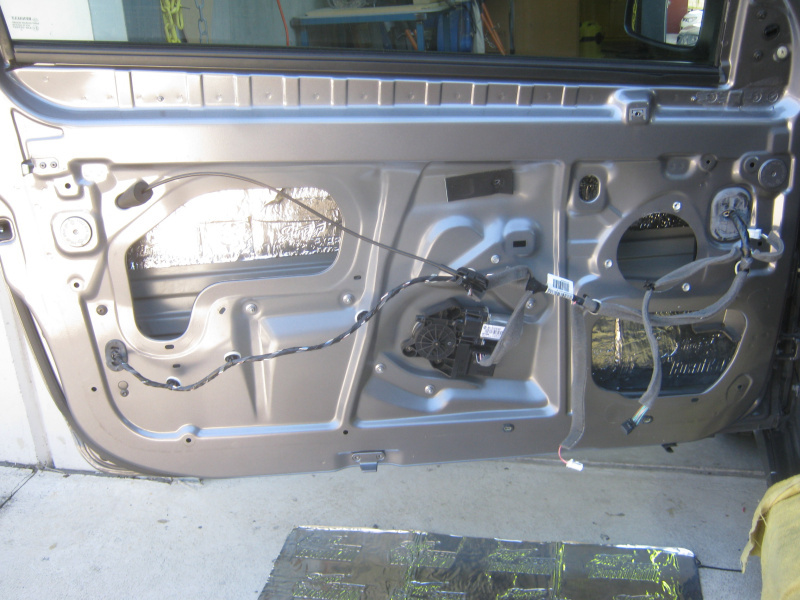 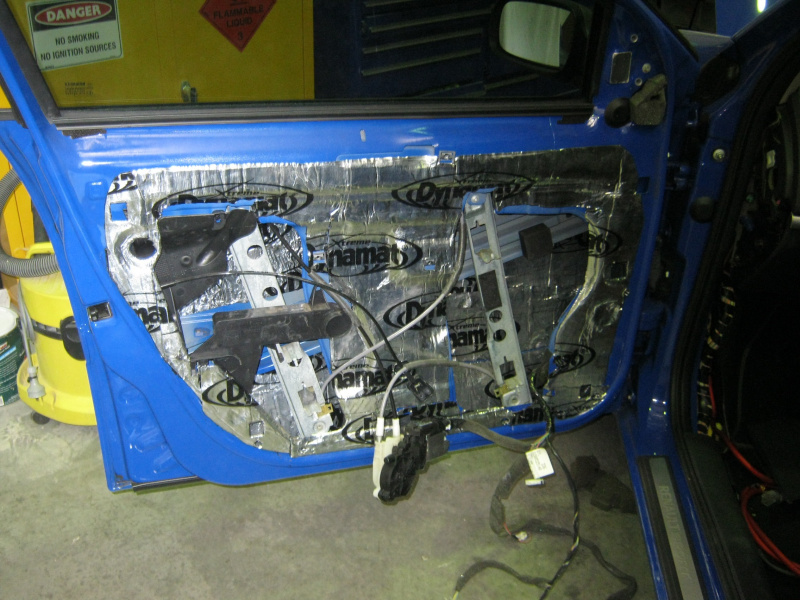 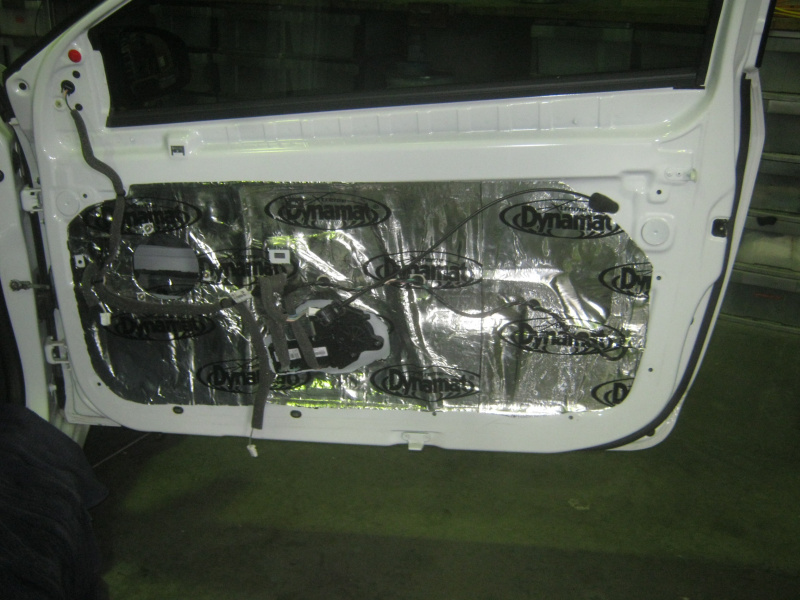 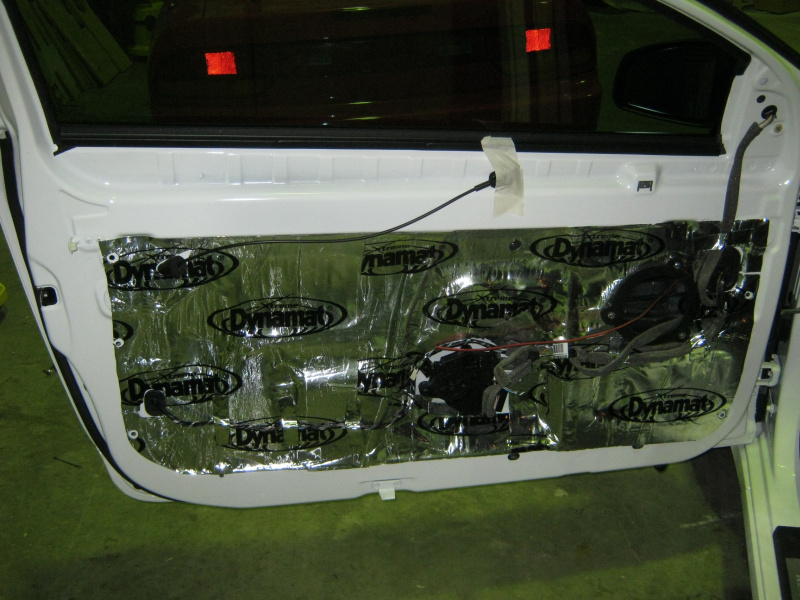 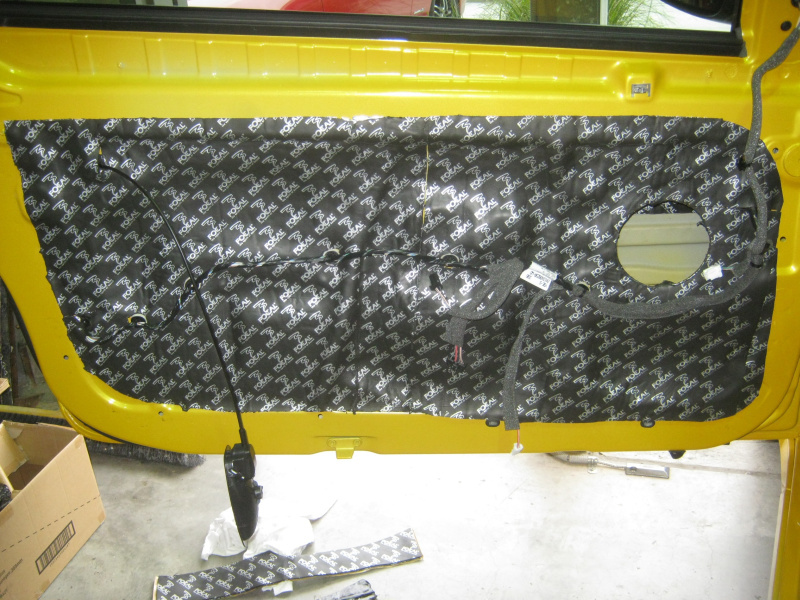 Just make sure that when you're having you doors deadening, you're getting your entire doors deadened. 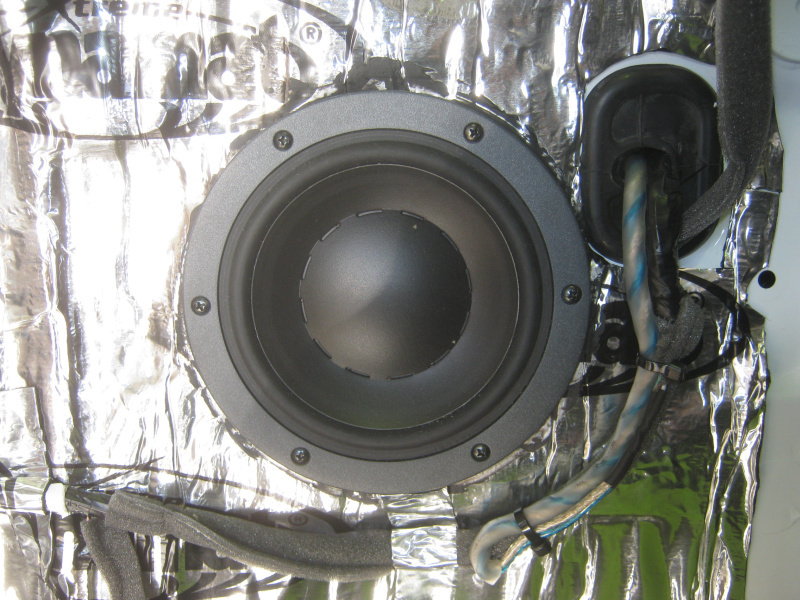 When mounting baffles and speakers many people tend to overlook one of the simplest laws of nature; element path. 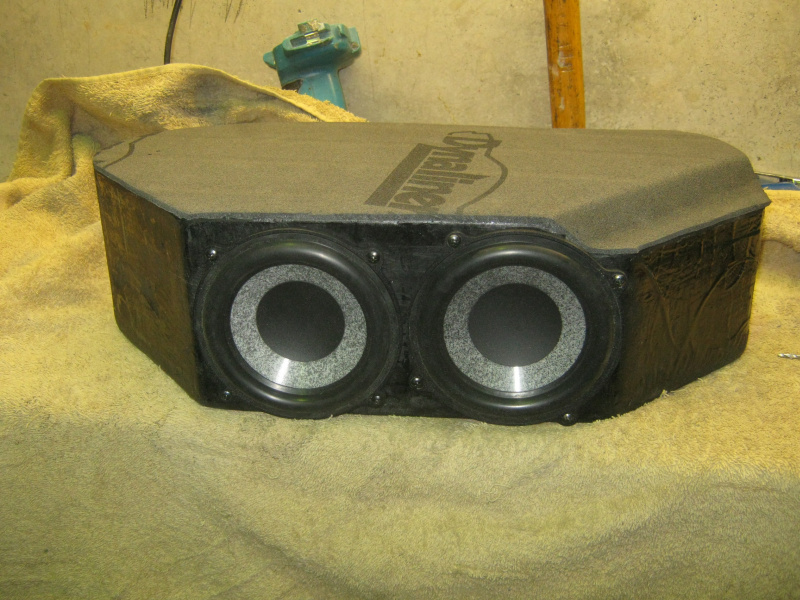 For subbass and midbass to be strong and punchy we need one side of the speaker to remain completely sealed to the other side. 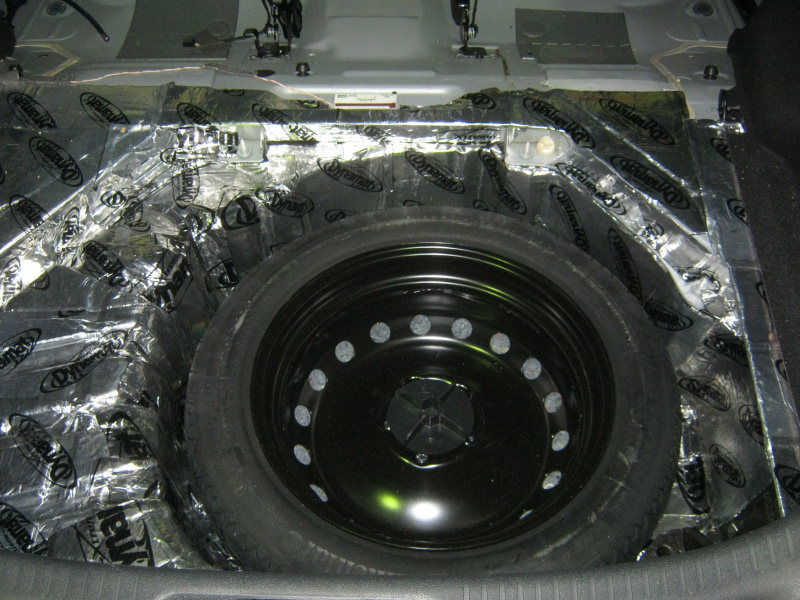 This is because when the cone moves suddenly it creates a high pressure cell on one side of the cone while a low pressure cell is created on the other side. 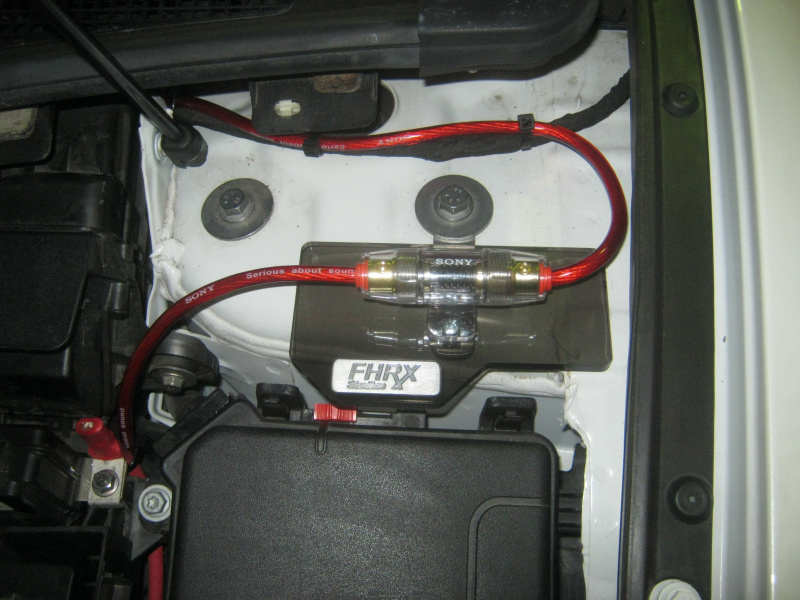 Getting back to the law of nature; like water, air also takes the easiest path. 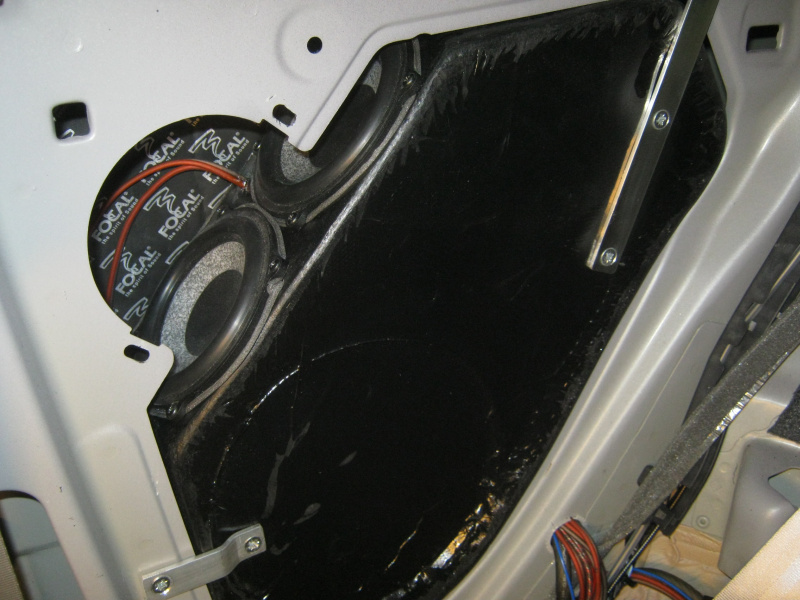 This means unless you have sealed your baffles into your door and installed a gasket around your speaker, your air (and bass) simply disappears through the air gap around to the other side. 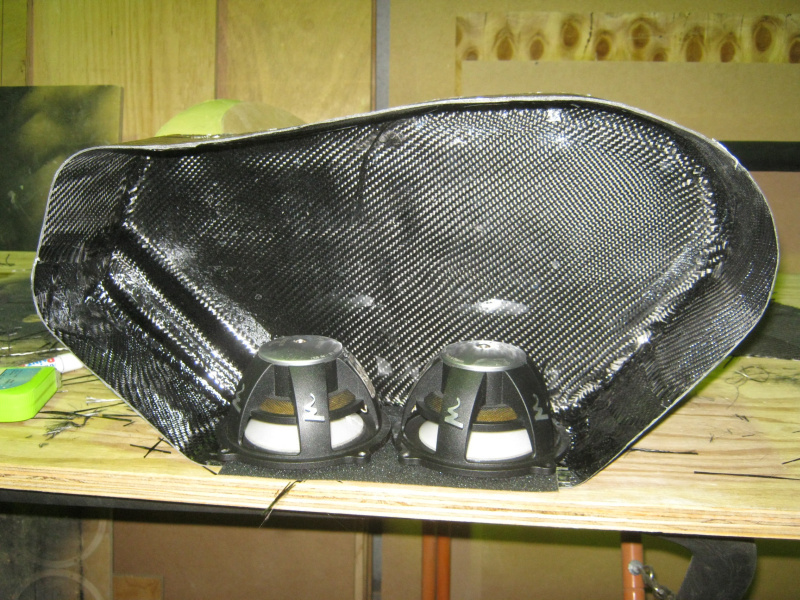 The other main reason for creating a custom baffle is so the speaker mounts via the factory holes and prevents the need to drill metal. 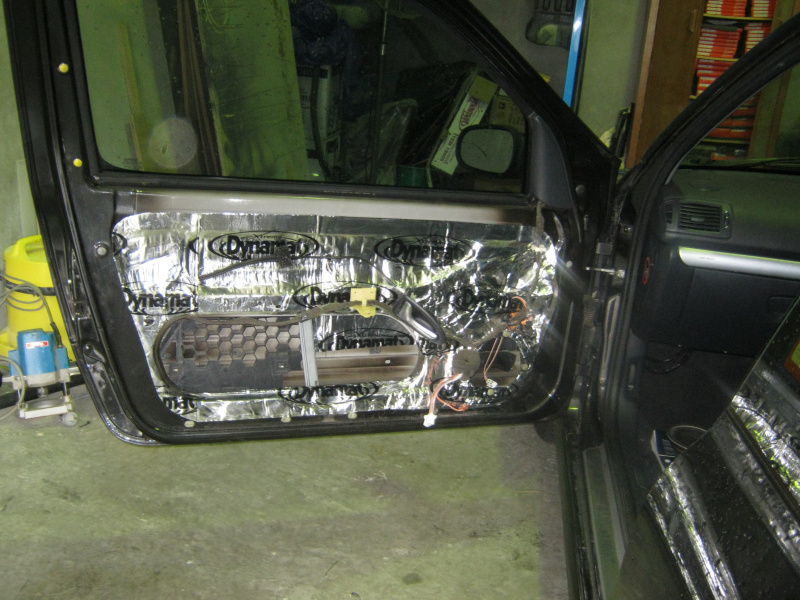 This is what doors look like when they're done here. 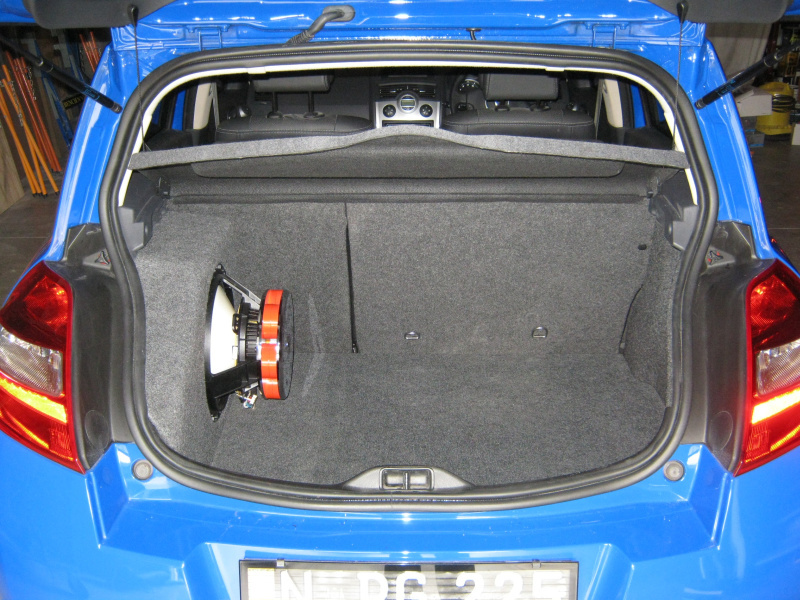 From the sound deadening on both inner and outer skin and diffusion tiles placed behind the speakers through to the completely custom made and sealed baffles and gasketed speakers, everything must be thoroughly and meticulously detailed in order to achieve the best possible sound from the drivers. 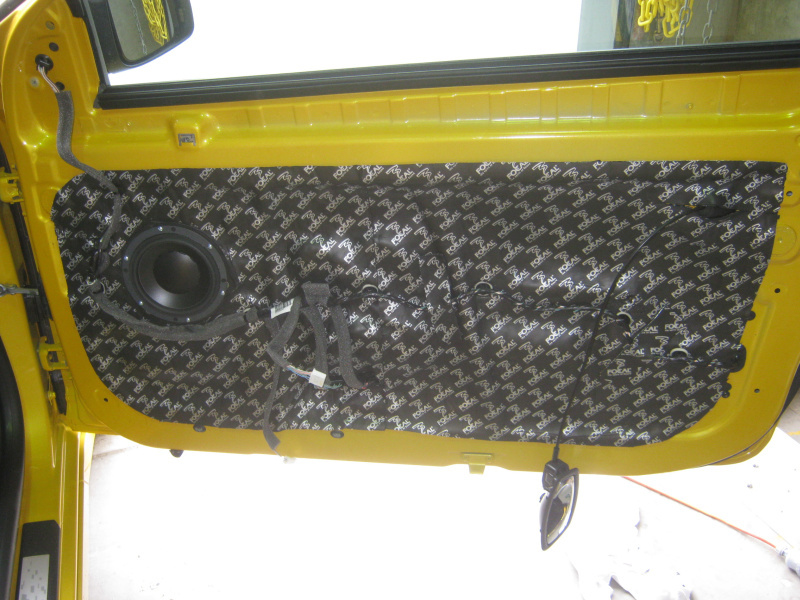 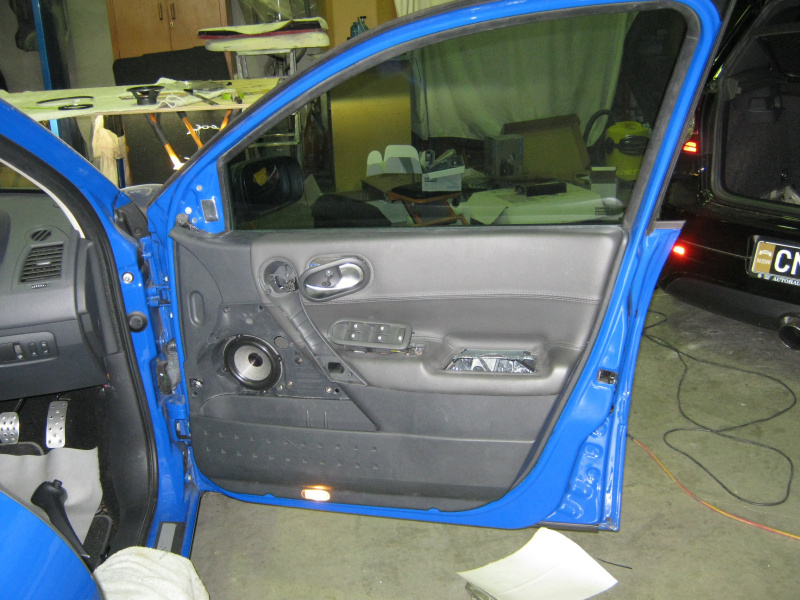 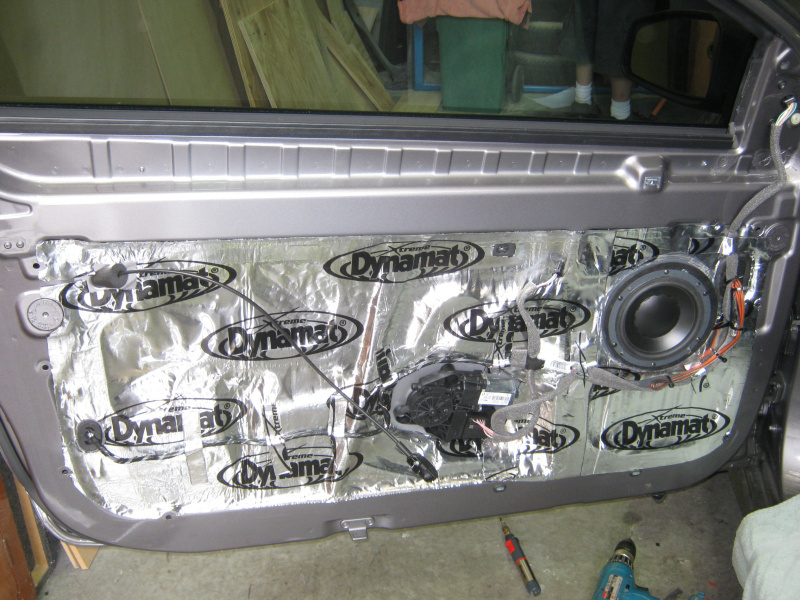 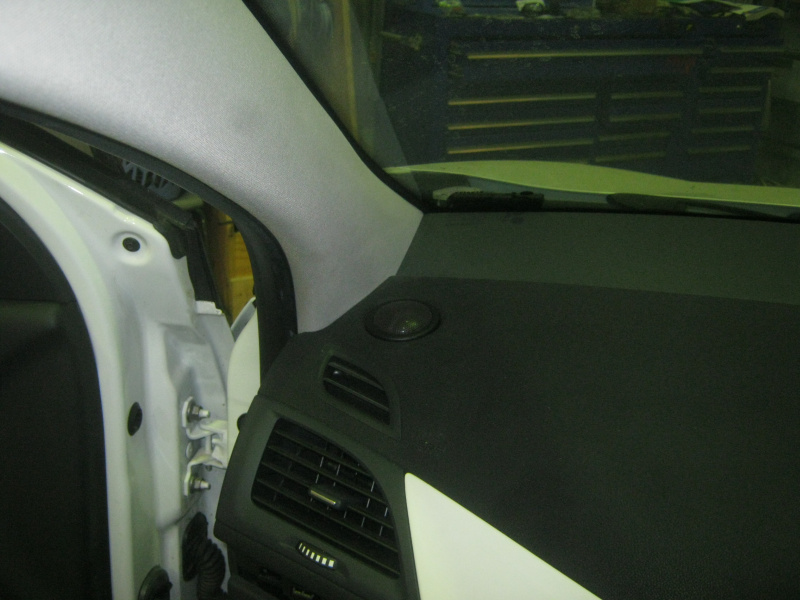 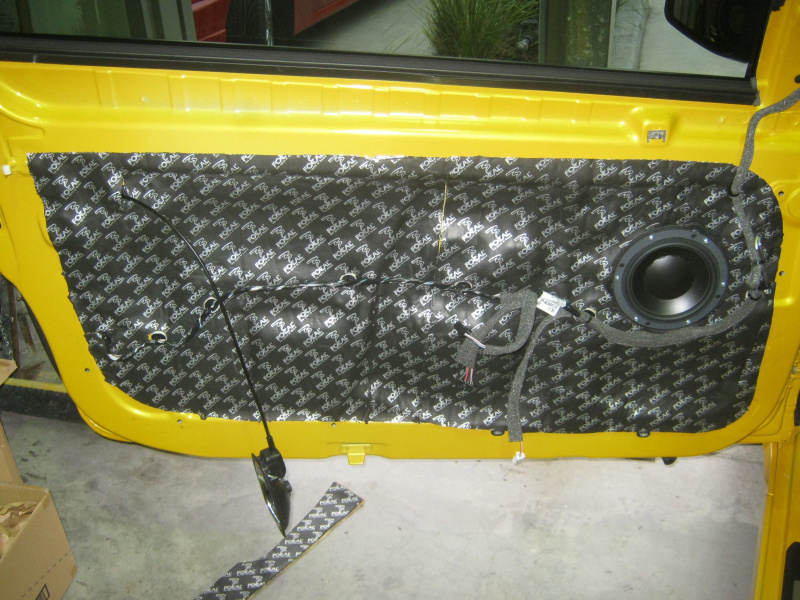 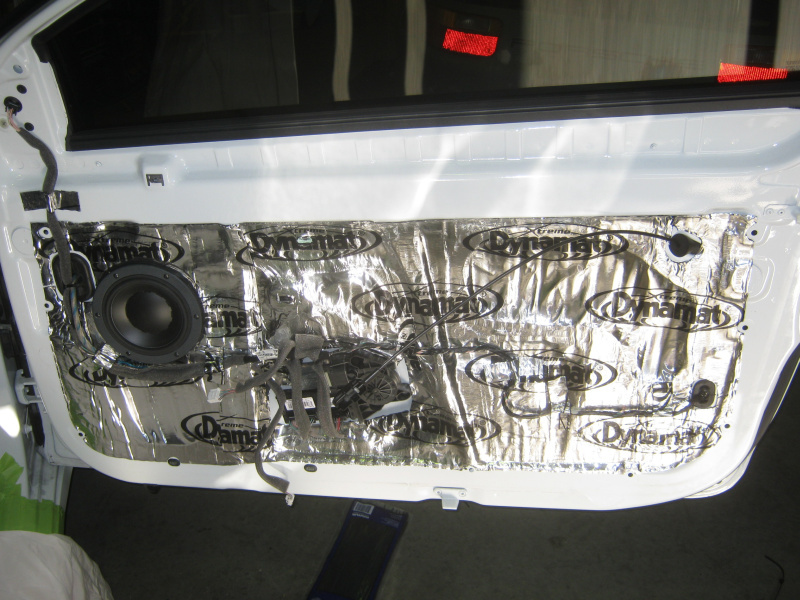 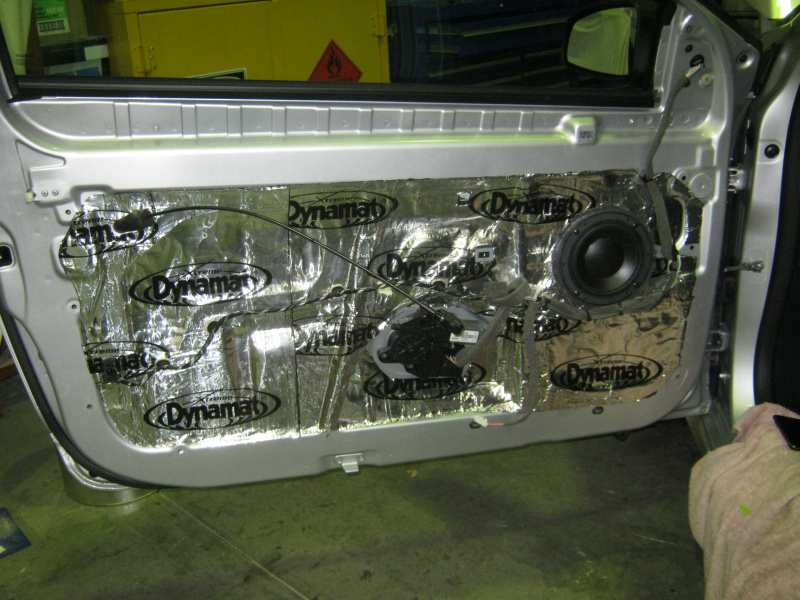 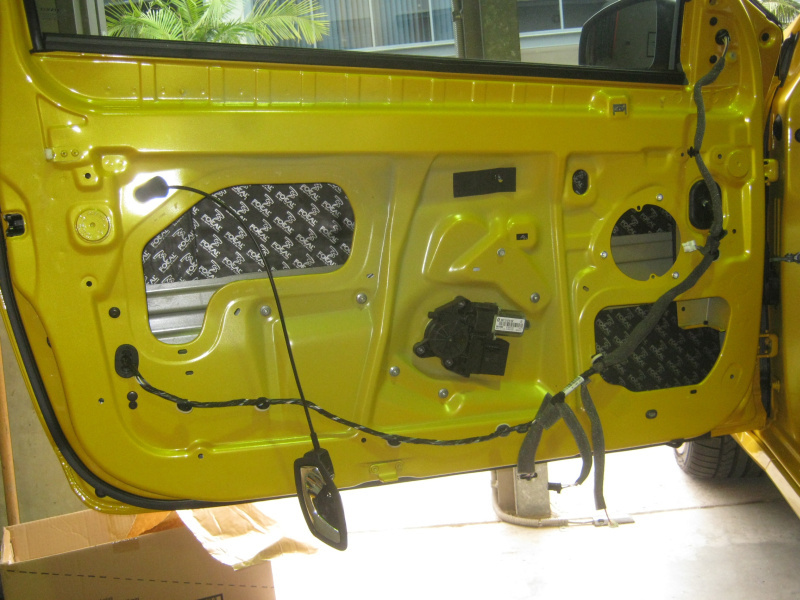 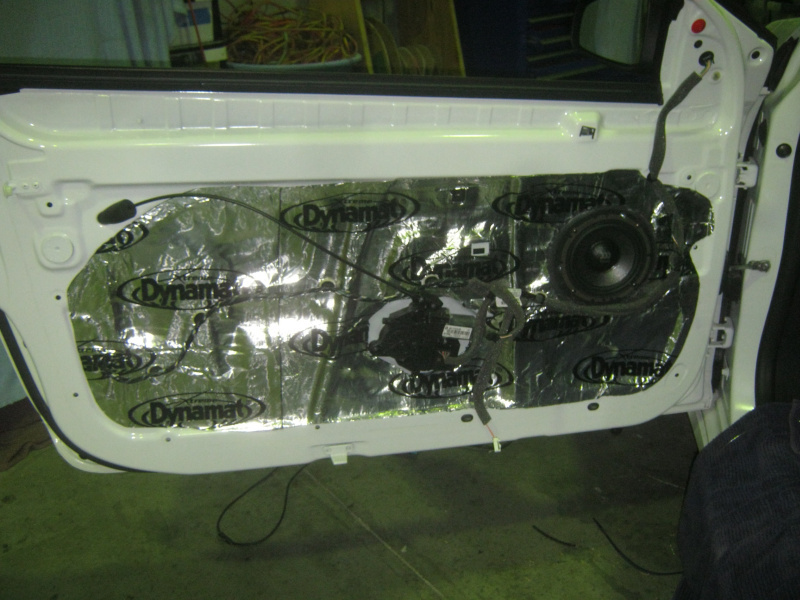 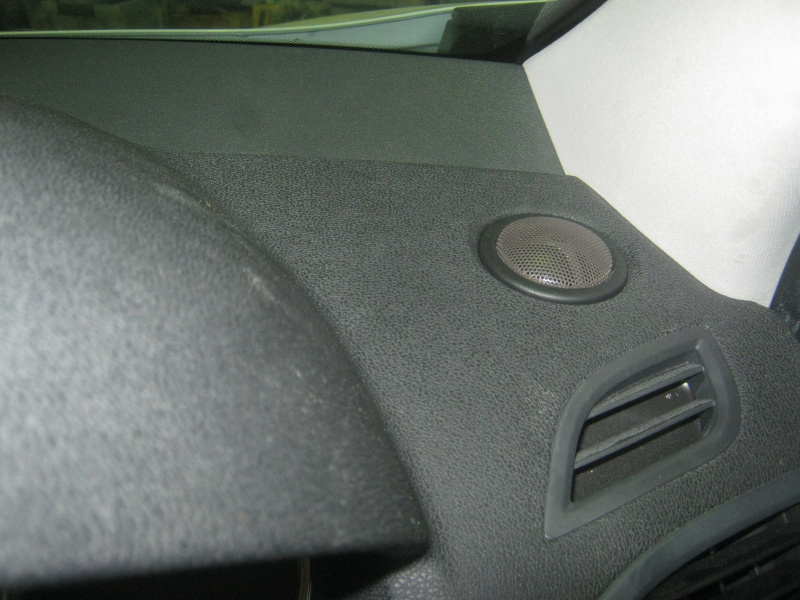 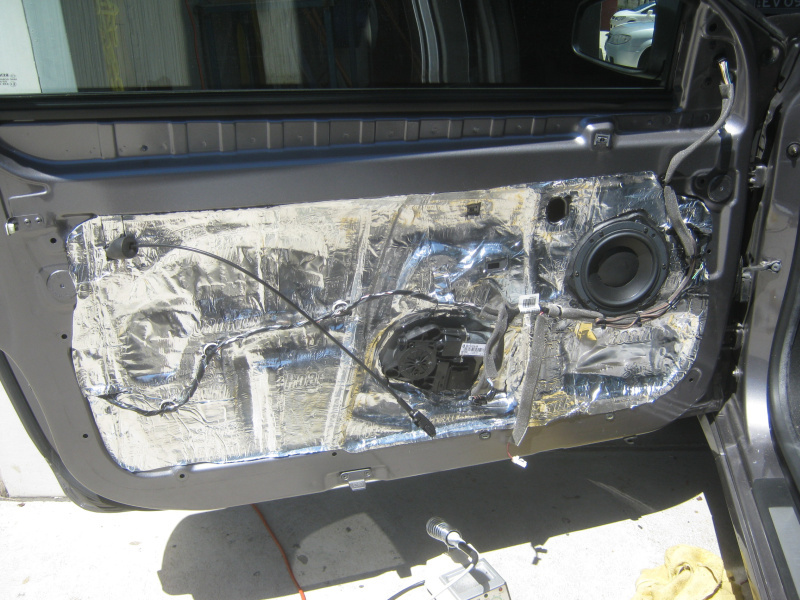 Even doing this door treatment to factory speakers makes them come alive! 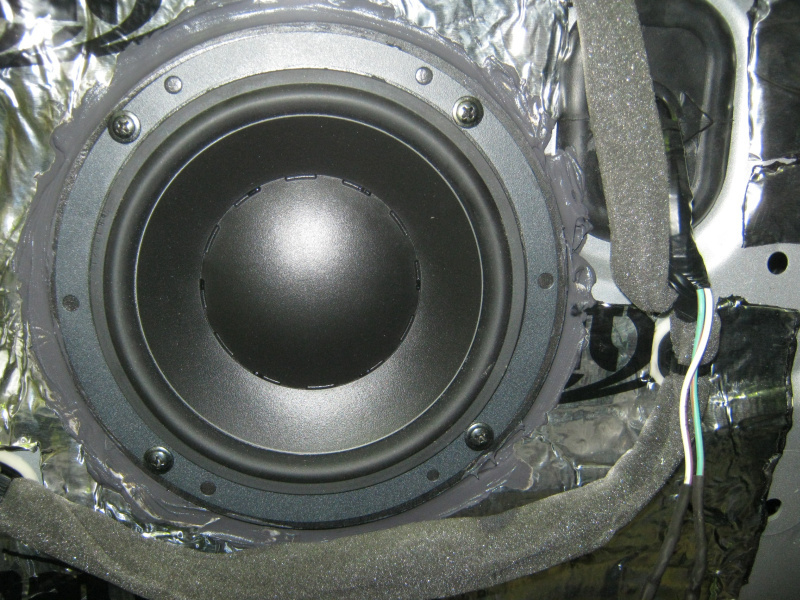 Despite their diminutive size, tweeters are actually one of the most important parts of any system as they play much of the information range of frequencies our ears are most sensitive to. 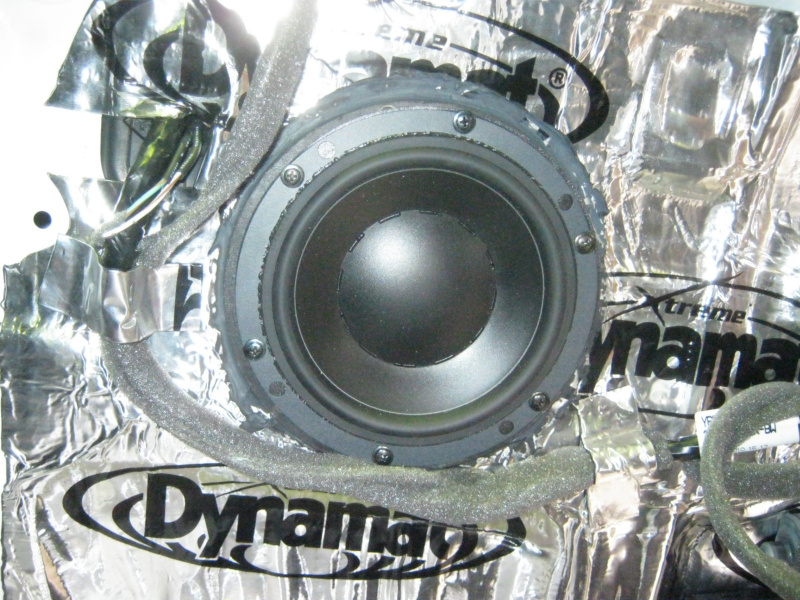 This is especially true in a two-way component set. 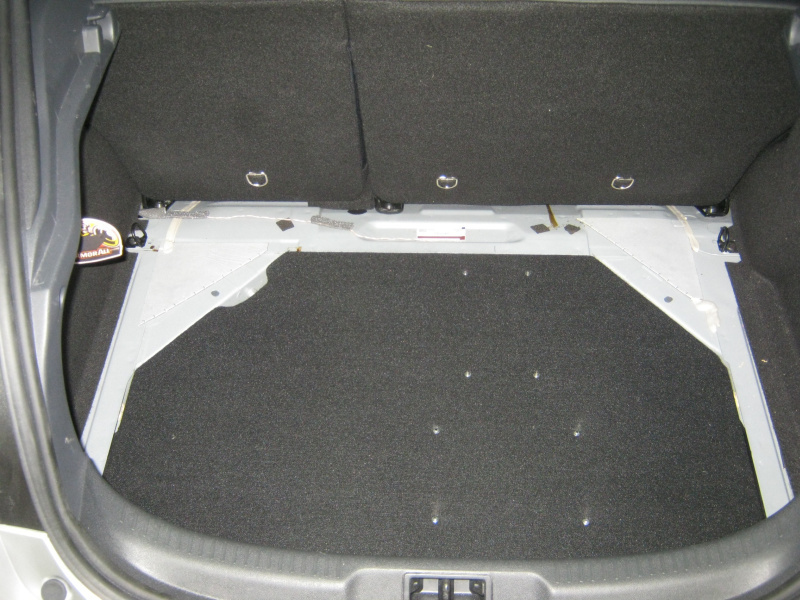 Therefore their placement and angling is extremely important. 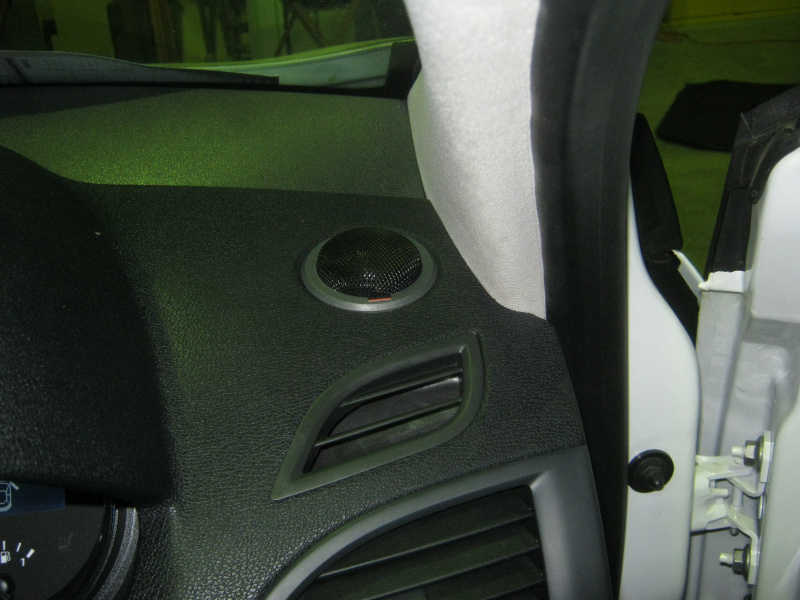 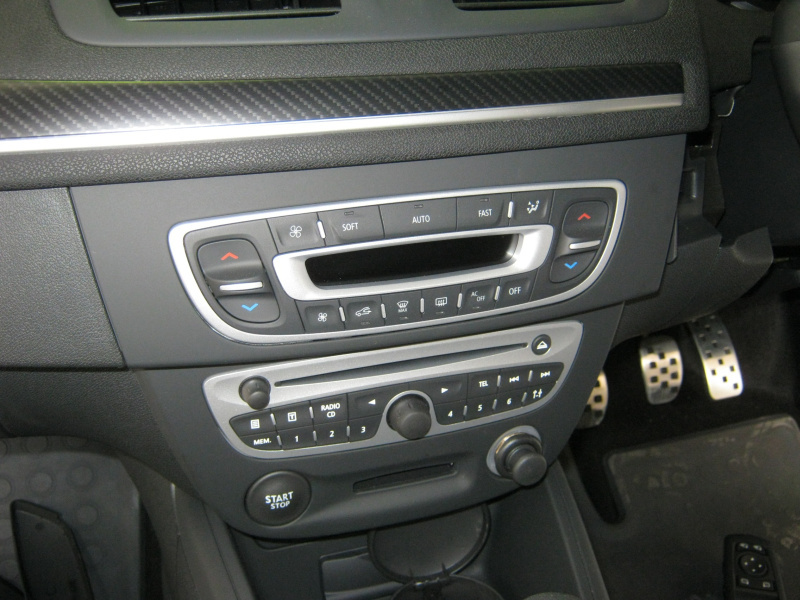 When physically mounting tweeters in installs where there are no custom panels the tweeters should have their own mounting arm or bridge allowing them to screw into the factory holes without compromising anything within the vehicles interior. 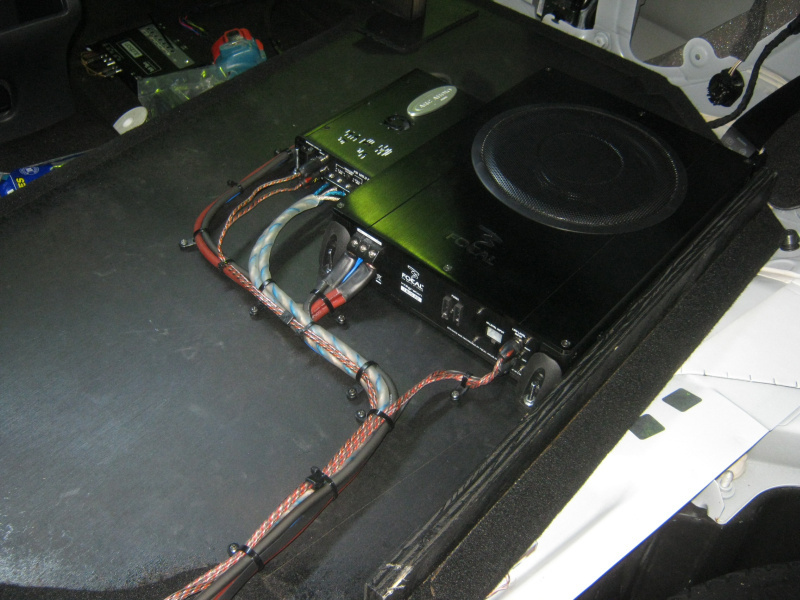 When it comes to the mounting of subwoofers and the design of enclosures we've been there, seen it all and done nearly all of it too. 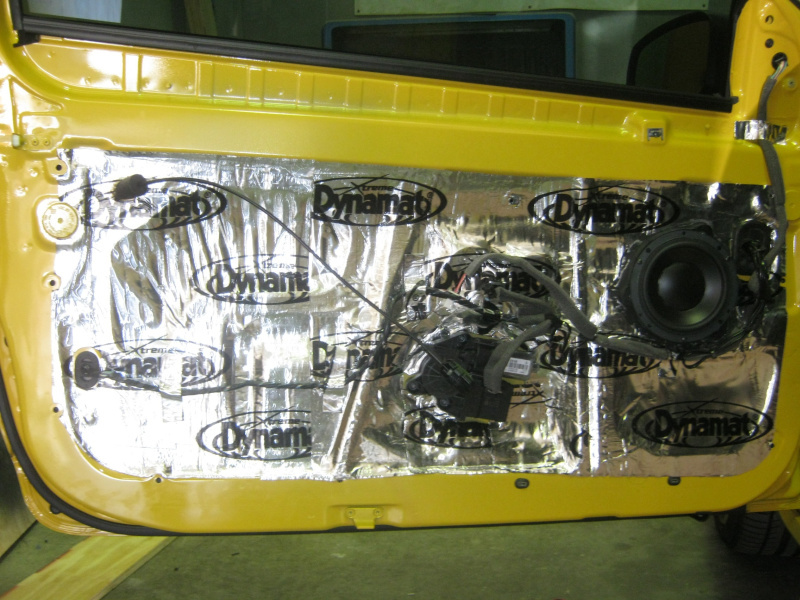 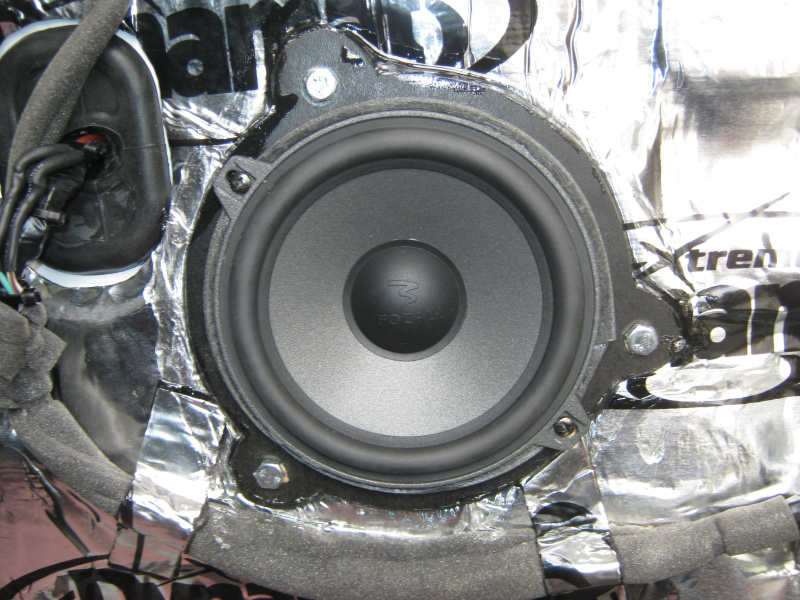 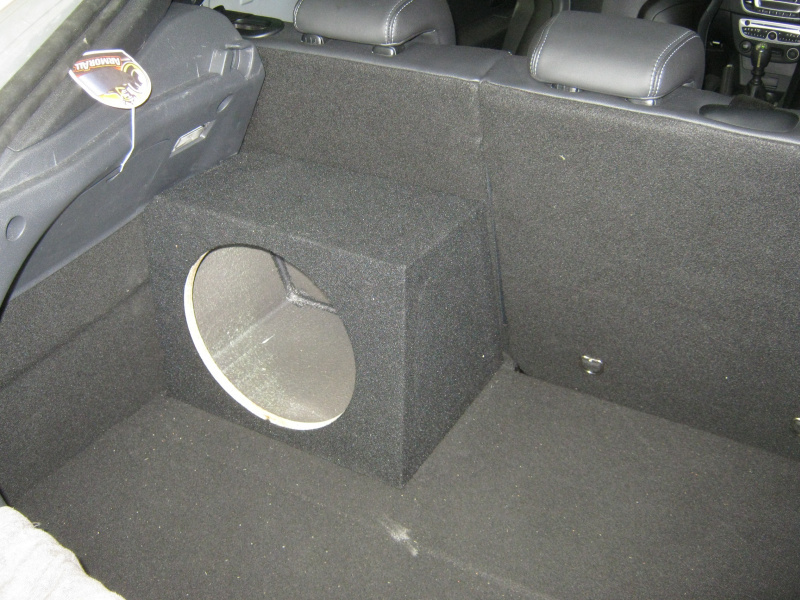 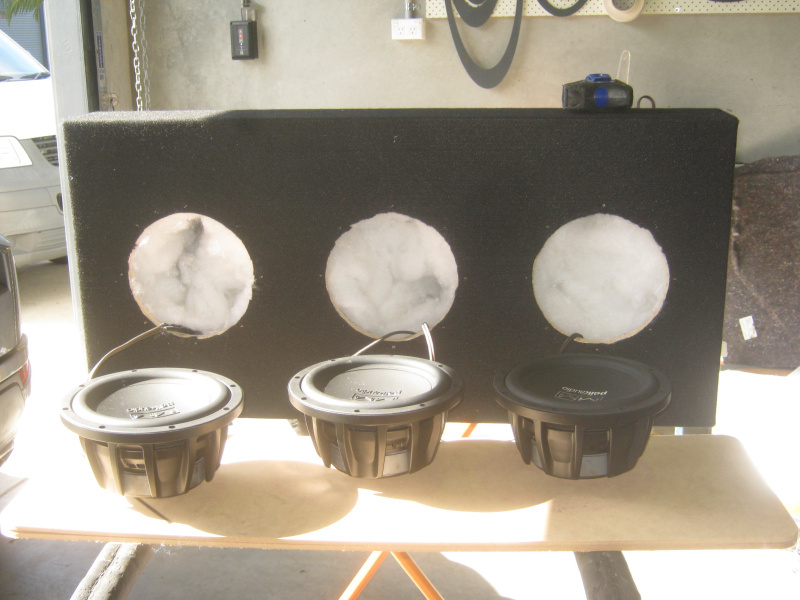 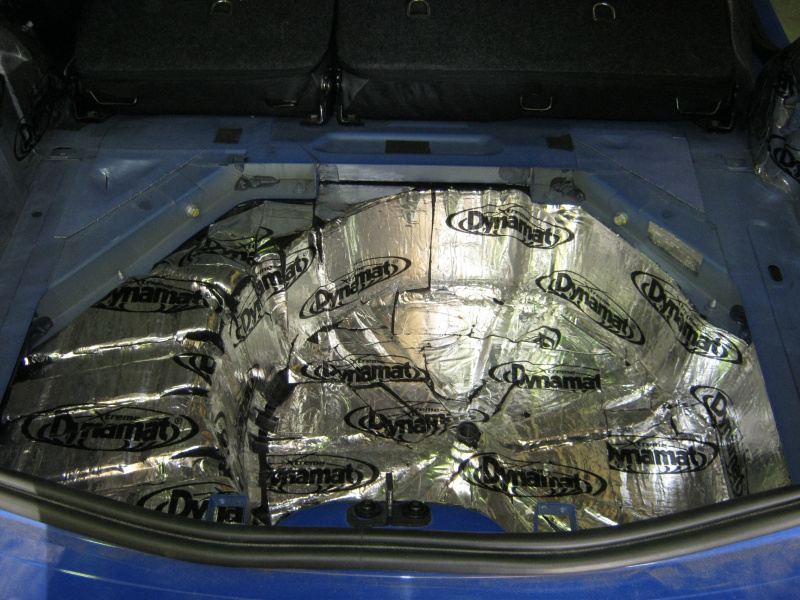 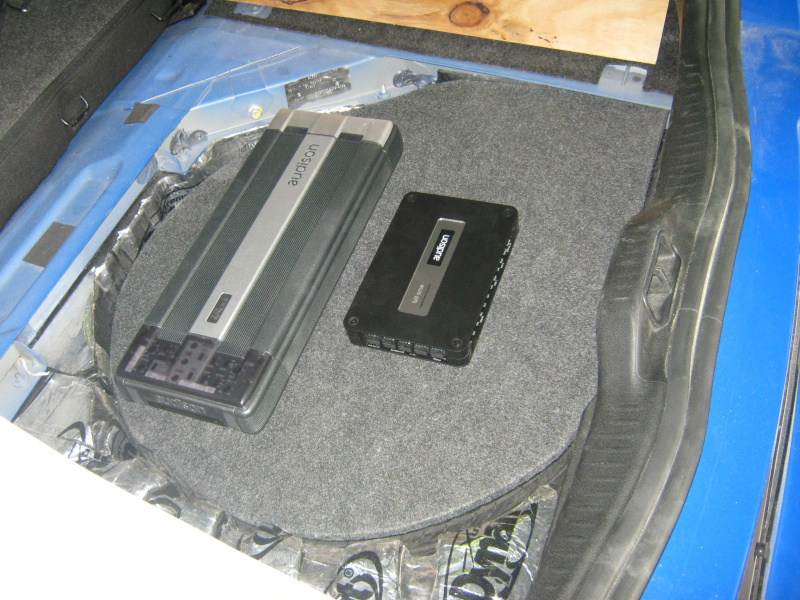 We mount subwoofers free-air; we mount them in sealed, ported and band pass enclosures. 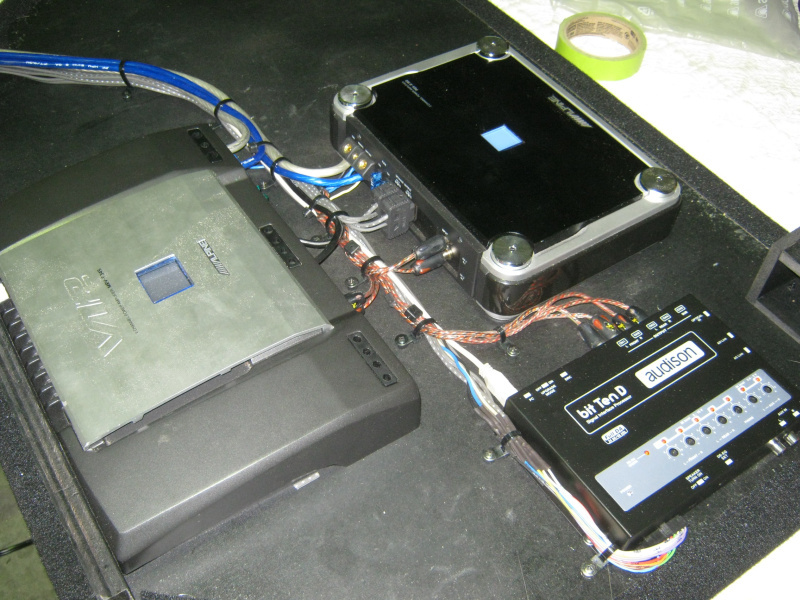 Hell; we even delve into the wonderful but weird world of rare porting techniques utilising labyrinths, folded horns and even more bizarre porting layouts. 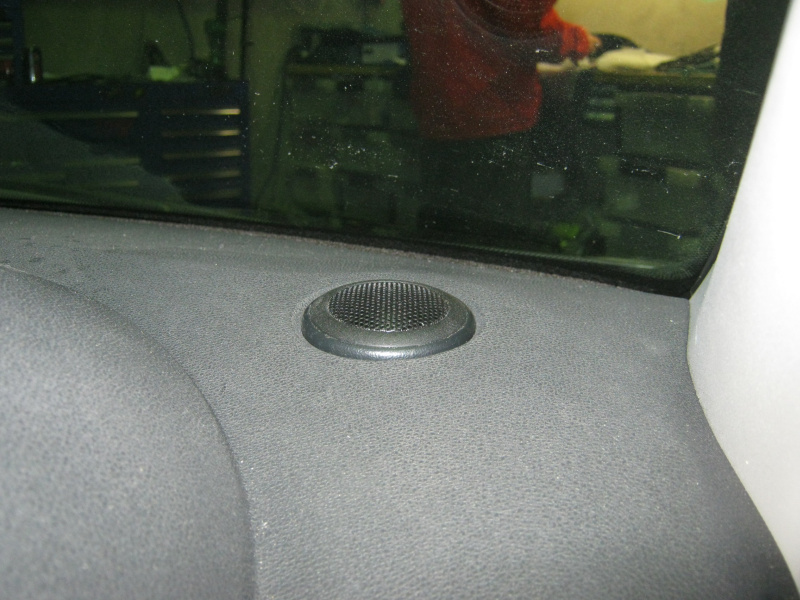 We sometimes mount them facing in, sometimes facing out. 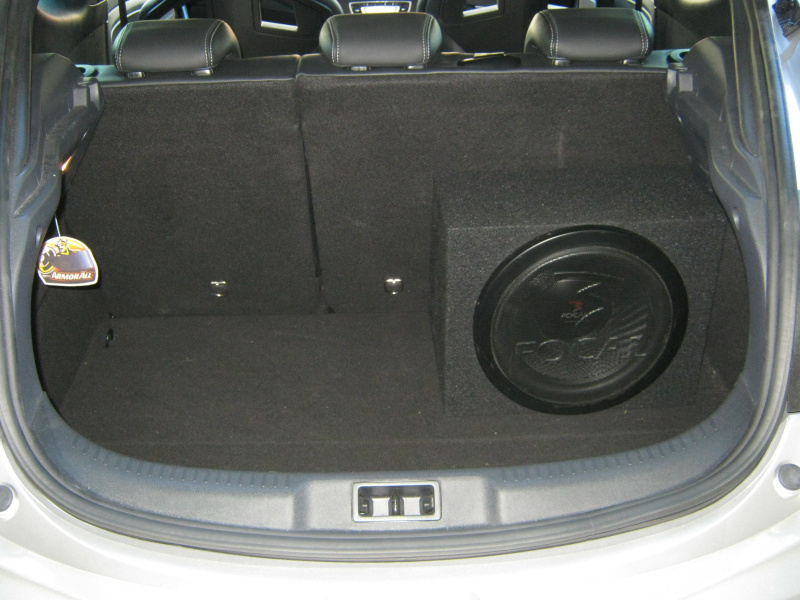 In any case though; you can be assured your subbass will sound the best it possibly can here. 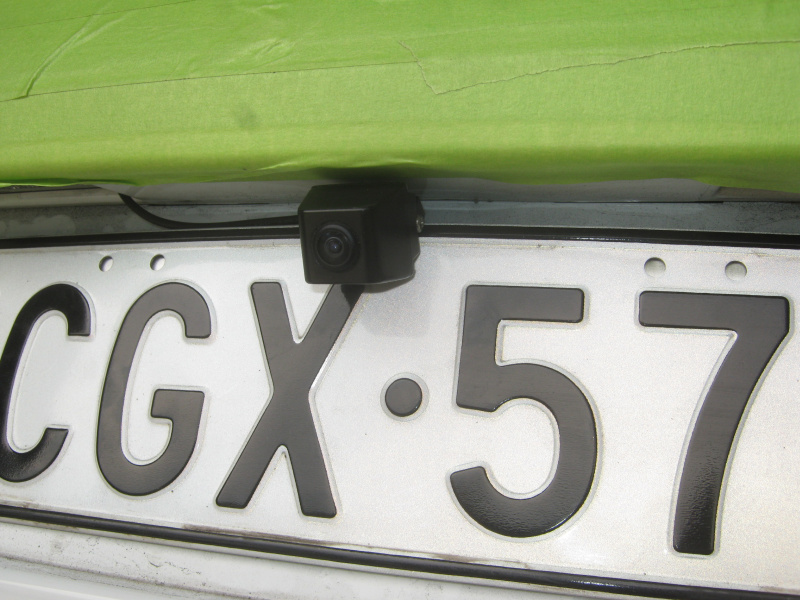 Reverse cameras don't escape the custom mounting treatment either. 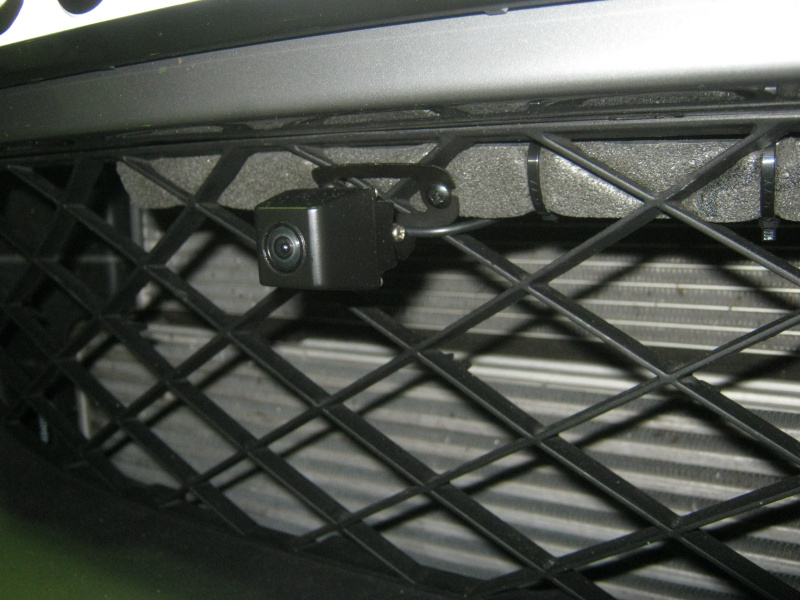 We quite often weld up custom brackets to hold reverse cameras in place from factory screw locations. 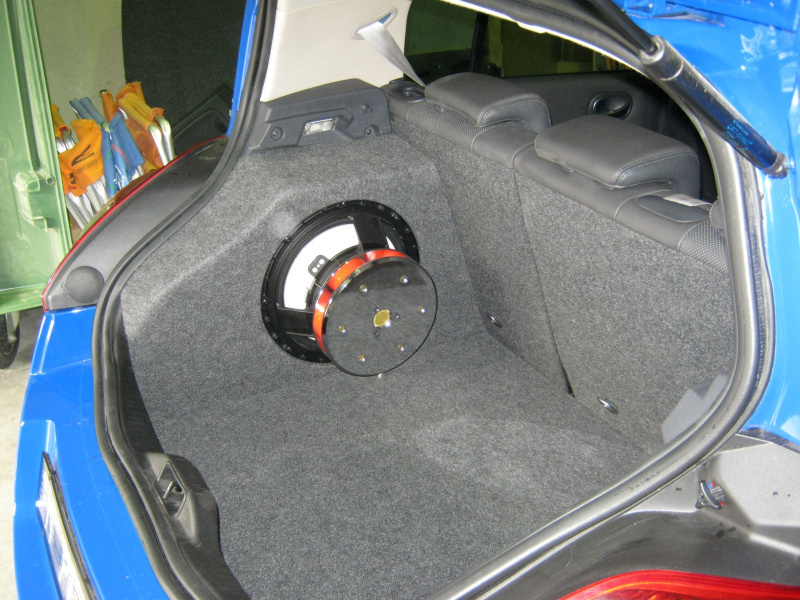 Utilising this methodology we again avoid drilling any holes in your car. 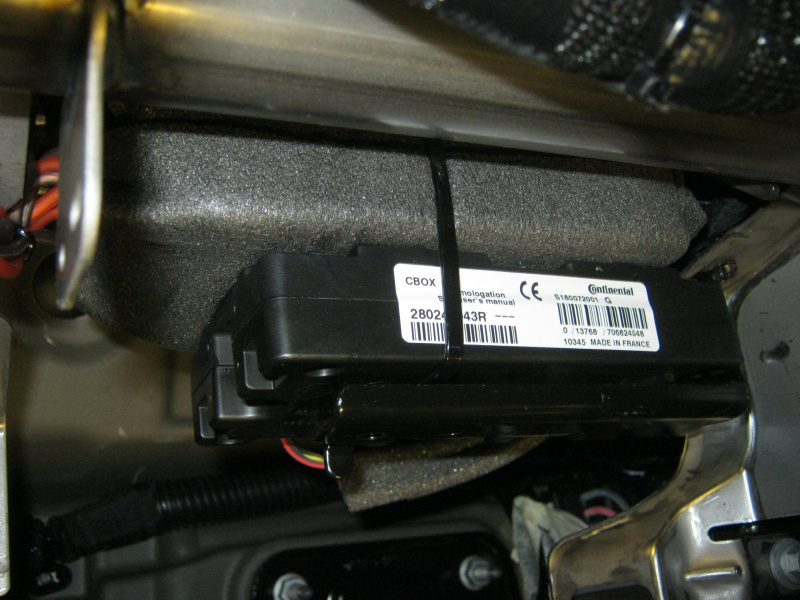 Additionally; upon the sale of the car, the camera can go into your new vehicle and everything returned completely to factory. 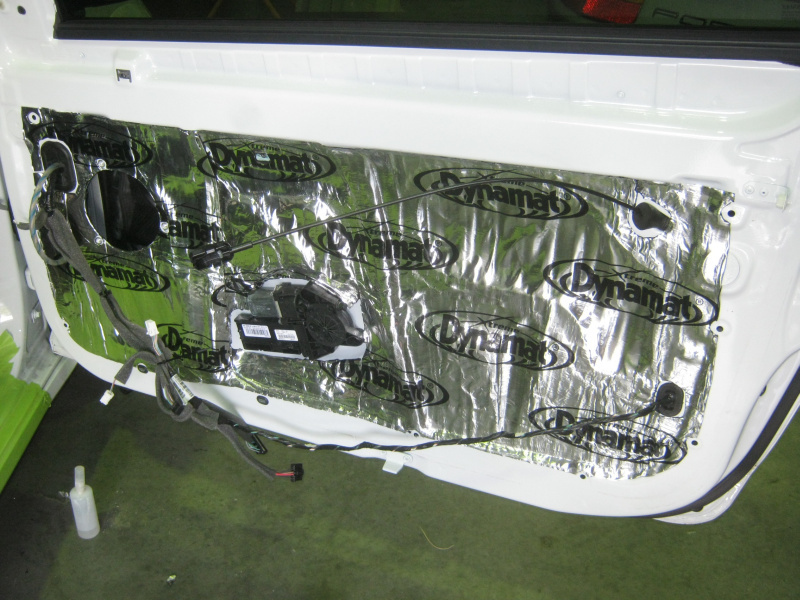 Posting up photos of dash installs might seem a little boring as every shop in the country installs source units however if you look closely you'll notice ours deck installs are just a little different in that we don't just settle for an off-the-shelf dash kit. 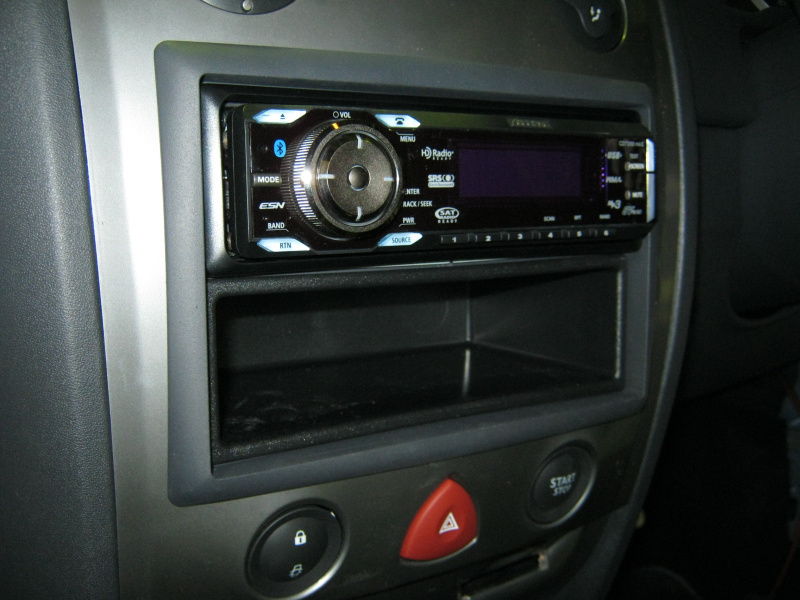 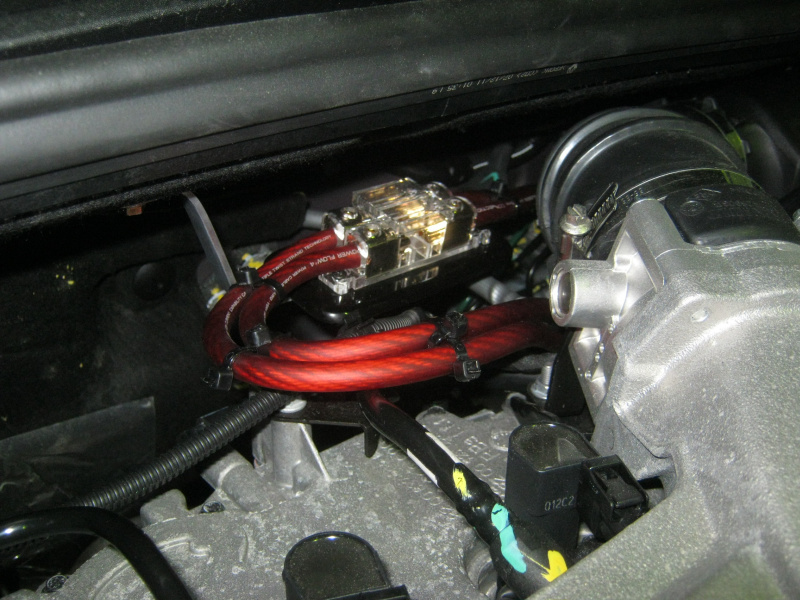 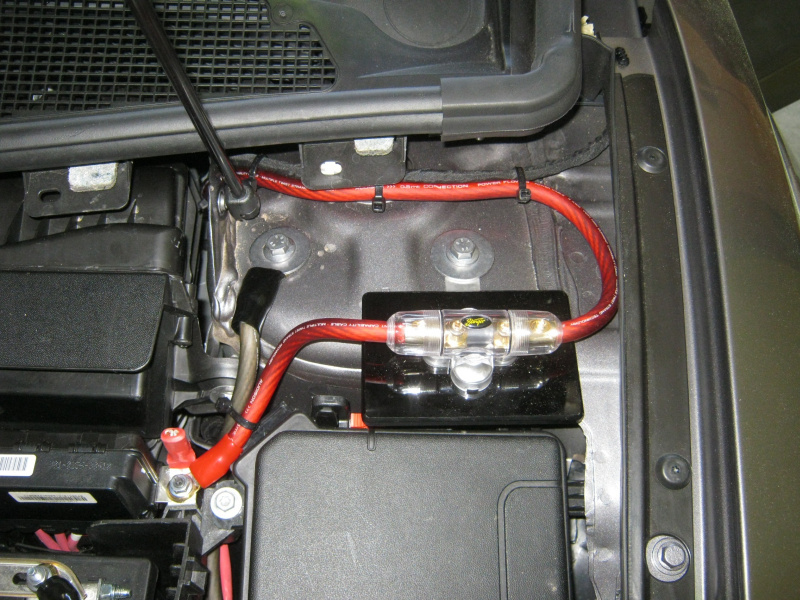 We actually make many small and subtle modifications to the various mounting kits we install do make the source units look at home. 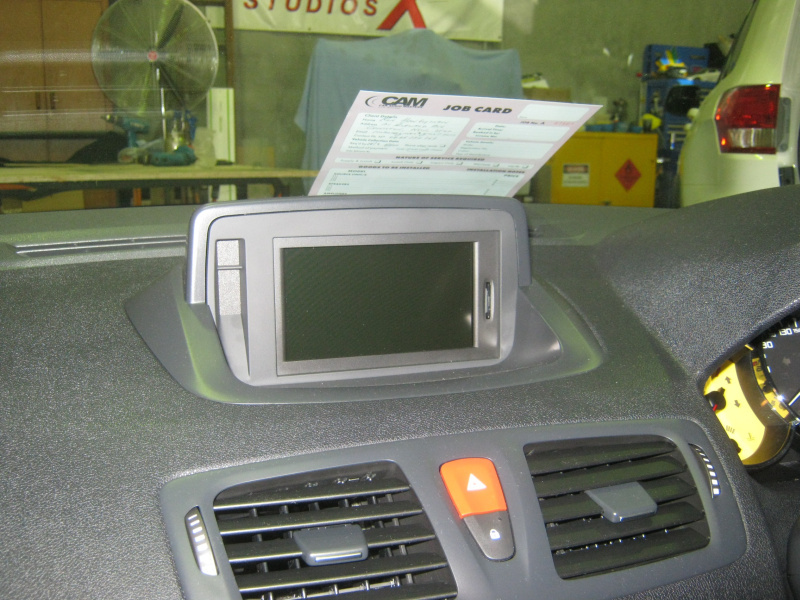 If this cannot be done we even sometimes just make our own dash kit completely from scratch to make source units look factory fitted.